Red Velvet (레드벨벳) it’s a kpop band that consists of 5 members: Irene, Wendy, Seulgi, Joy and Yeri. 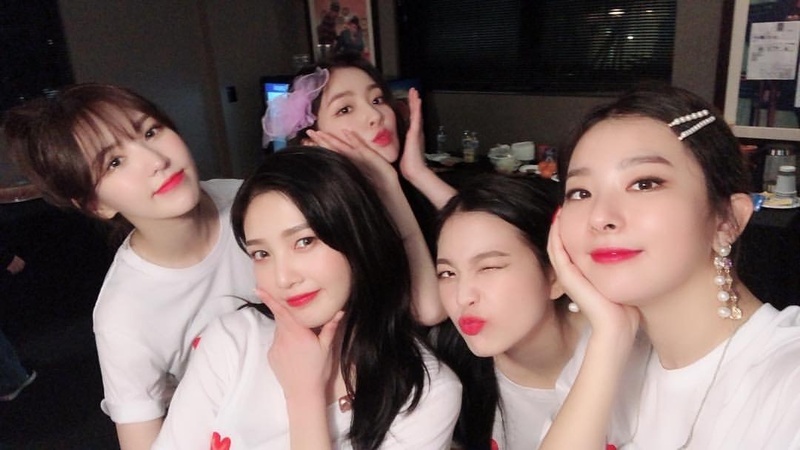 Red Velvet debuted on August 1, 2014, under S.M. Entertainment. – All of the girls now have their own rooms after moving into a new apartment. – She was casted in 2007 through public audition. – f(x)’s Amber gave Seulgi her nickname “Bear” “BearSeulgi”. – Her height was measured during “Kids These Day (Cool Kids)” show and she’s 160cm (5’3″). – Wendy is close to SF9‘s Zuho. – Wendy’s ideal type: Someone respectful, caring and who is pretty when they laugh, also someone who eats well; Someone who is like her dad. – She appeared in “We Got Married”, where her virtual husband was Sungjae (BTOB). – She’s said to resemble actress Kim Yoo Jung. Family: Parents, three younger sisters. 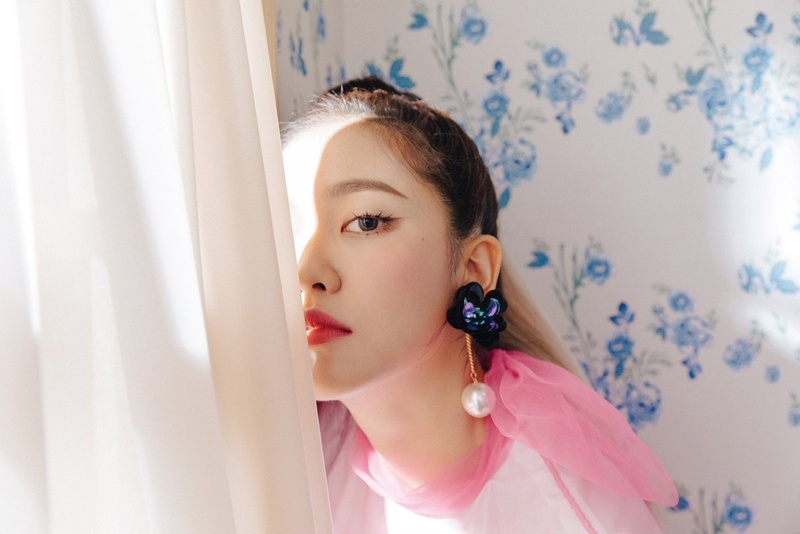 – Her nicknames are: Squirtle (the reason being her resemblance to the character), Yeriana (because her favorite singer is Ariana Grande) and Malgeumi (bright). – Her representative animal: Turtle. – She was part of SM Rookies. – Her favorite food is Tuna Kimchi Fried Rice. – She never walked in high heels until she had to film for Red Velvet’s ” Automatic ” MV. – She used to share a room with Joy. – Yeri’s ideal type: A man who is mannerly and can be caring to her. * NOTE: As you know, usually the K-pop companies adjust the idols’ official profiles, so it looks better. Fans compared their height to those of Girls’ Generation members and other idols’ height and approximated their real height. So, we posted both versions. Note 2: The current listed positions are based on “Red Velvet Level Up Project” and “Super TV” Season 2 Ep.10, where the members positions have been revealed. We may have a different opinion on the positions but we are respecting the publicly announced positions. When any updates regarding the positions will appear, we’ll update the profile again. 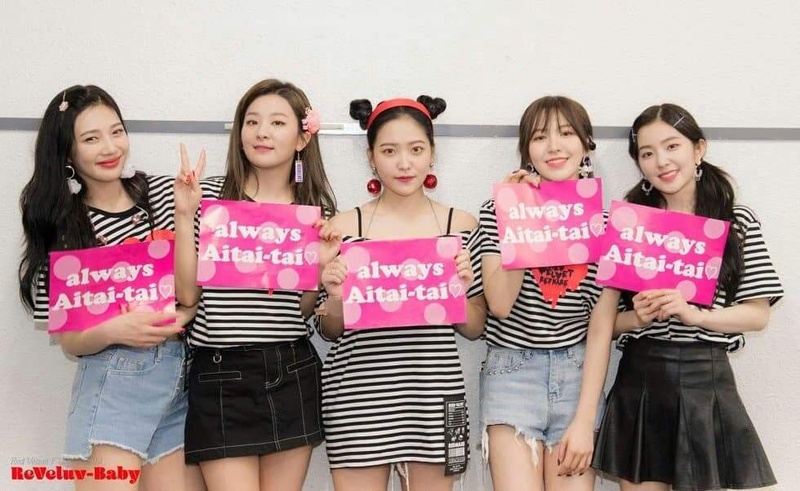 Who's your Red Velvet bias? Yeri was a part of smrookies actually ! I thought Wendy is the Face of the group, not Irene??? Thanks for posting both height versions! You rock! I think their heights are! Isn’t that irene is the shortest? Or that was before yeri came to the group?? I need answers please?! 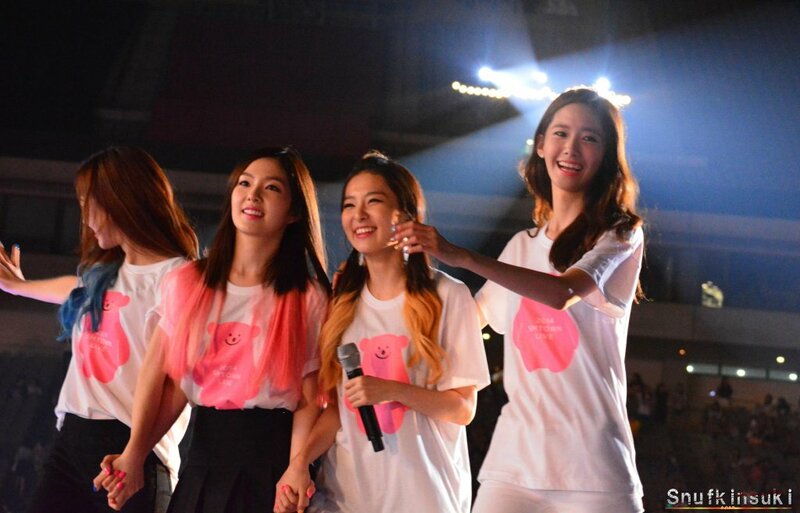 At first Irene was the shortest but after Yeri joined the band she became the shortest member. Love them all! 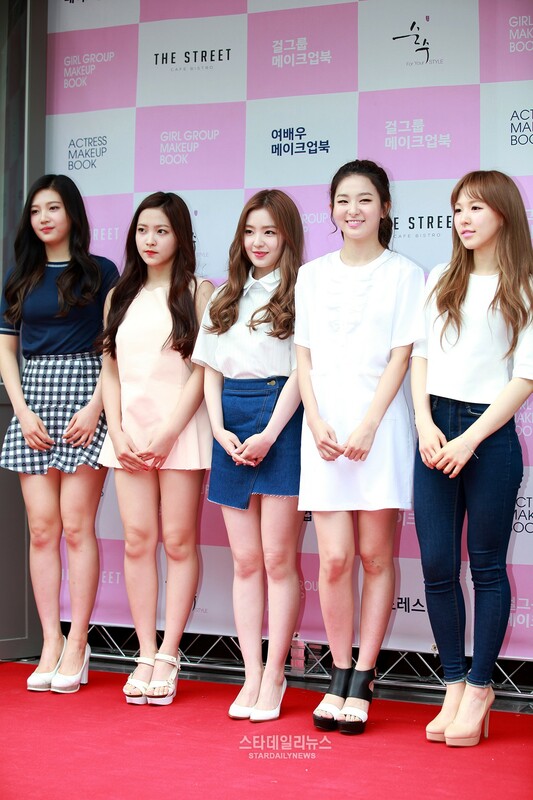 I think Joy is taller than 165 or even 168, and since when is Yeri shorter than Wendy? Pretty sure Wendy is the shortest. Ok… but in that picture is Wendy and Seulgi, so of course Seulgi is taller. I know. I wasn’t disputing Seulgi at all, just showing how short Wendy actually is. Heels vary a lot more in height than insoles, though, but whatever. I don’t really care anymore, lol. My bias is Wendy! So cute! Isn’t Yeri only a dancer? Red velvet is my biggest idol. Im so sad that they’re all so skinny and underweight. Except Yeri and she’s almost at that line. 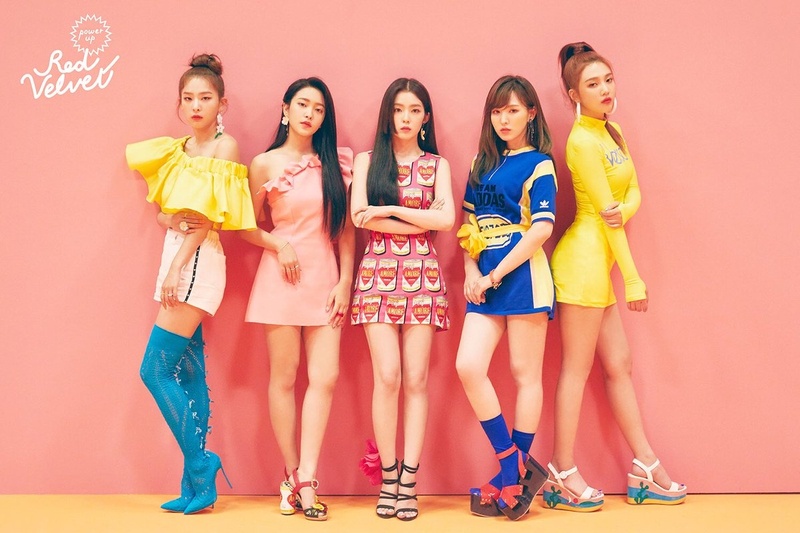 Why.. when it comes to Red Velvet profile, most of people talk about their real height.. Oops, now I am talking about it too.. LoL..
the thing is…. the Korean entertainment companies, when releasing their idols profiles, usually increase the height and decrease the weight, so it “looks better”. unfortunately it’s a common practice. 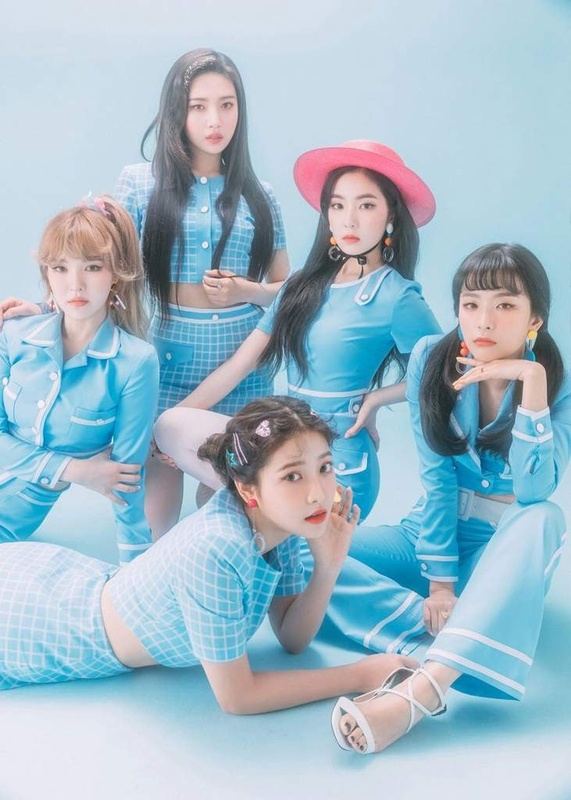 Could you update the photos to the Rookie teaser photos? Center and Face of the group isn’t the same? o__o It’s the same thing. The most well known member, the one that is usually in the center. Visual it’s different – the most handsome/beautiful member. Good comment! I also mistook the terms at first. Thanks for explaining. FOTG and Center are the same. Fay gave above a better explanation. am i right that seulgi is the center and joy is the FOTG? I dont think that Joy is the center, but yeah surely she is the most popular. 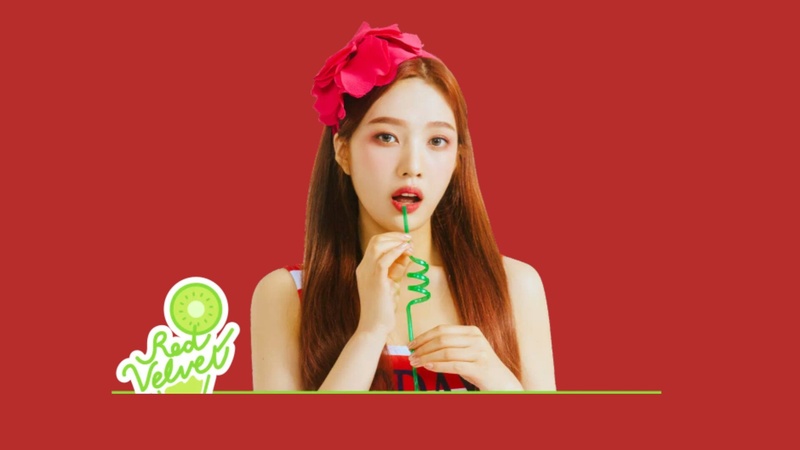 Joy is part of SM official Fruit Line she is a apple while Sulli is a peach and Tiffany is a Cherry. Also Joy’s blood type is A and she is a protestant along side Yeri. Well SNSD is really big and she doesn’t have the best vocals so I can see why she wouldn’t get the most lines but she is in the center and gets really good screen time !But the real reason why Yoona is the FOTG is because she has the image that Sm wanted Girl’s​ Generation to have. (natural beauty and to be pure )So you see she is still the companies favorite even if she doesn’t have the most lines. Also kprofiles should put on SNSD profile that Yoona is the FOTG. Nah. It’s not confirmed yet. * Her favorite color is purple. * Many of the trainees thought Irene to be scary because she didn’t speak much. Because her Daegu dialect was so strong, she would just say “hello” and walk by others. Since then, she has fixed her accent and only speaks with the dialect when she’s speaking on the phone with her mom or overly excited. Others say that she was scary to approach because she was so pretty. * As a trainee, she never dyed her hair and only kept it a pitch black, which is why she believes she was hard to approach. * Reason for becoming a performer: enjoyed singing and dancing very much and really liked the feeling of being on stage during talent shows. * Irene made her acting debut with webmdrama 'The Female Employees of a Game Company' as female lead Areum. * From May 1, 2015 to June 24, 2016, Irene hosted KBS Music Bank with model Park Bogum. * On October 14, Irene became a host of OnStyle's fashion show Laundry Day. * In the same month, she became a panelist on the KBS show Trick & True with band mate Wendy. 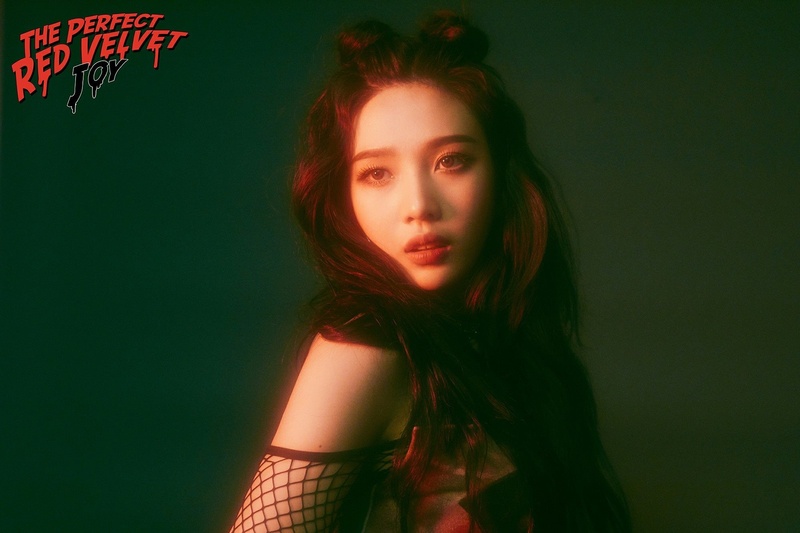 * Dubbed the babyfaced leader of Red Velvet, often told that she looks the youngest. *She’s comfortable with all foods except for chicken. When she eats chicken, her head extremely hurts and she turns pale. She believes her body just doesn’t accept it. * Favorite movie is "The notebook"
* She like quiet and comfortable music. She also likes rock and ballads. * Her speciality is modern dance. * Because of her sensitive sense of smell, she will often keep around nice fragrances to help. * She also enjoys going to Ttukseom Island at Hangang River where she will sit on a mat at night to meditate and talk to herself about little things concerning life or go to Bukchon district 8 to do sightseeing and even visit the folk museum. * Naturally very flexible (ranks the highest in flexibility in Red Velvet with 28cm while last place measured 15cm). Wendy has caught her sleeping with her legs fully split and her upper-body laid against the floor while covering herself with a blanket and another time in the same position but with her legs squished under her, making it look like her legs disappeared. Though it scared Wendy on both occasions, Irene says she’s most comfortable sleeping this way. * She admits being insecure of herself and will often ask people around her if she has done well or not. * Her preferred type of fashion is something comfortable and clean. Like a loose shirt and regular bottoms. * She usually doesn’t rely on people, she works to become an unnie that the kids can rely on instead. * She always works things out on her own by sorting out her own thoughts and embracing the new things presented to her. * Since she was young, she was never good at telling other people her stories or problems. * Because she is a person that doesn’t regularly express herself, she uses the stage to take that opportunity. 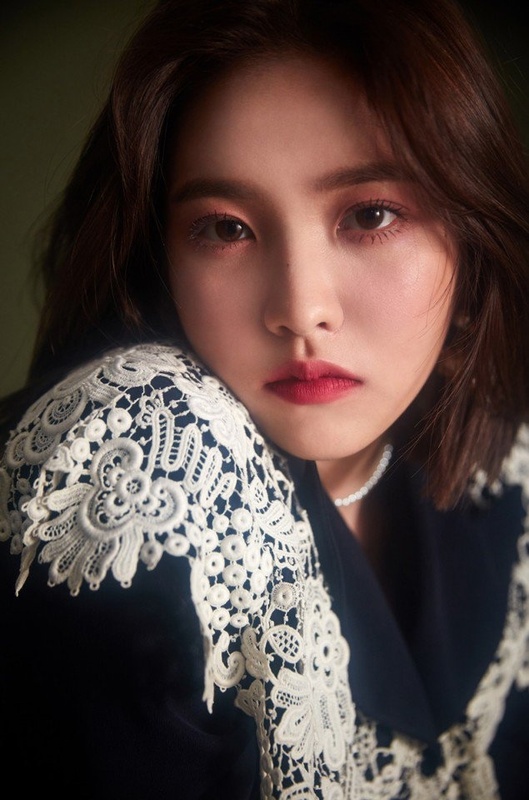 She says she’s the type that believes it’s important for her to feel her emotions when on stage and being able to express herself in that way is important. * It was pointed out that she seems happy with trivial things in life and she admits that lately, she does realize that. * Her favourite way of relieving stress is to create mind maps to organise her thoughts. * She collects notes, journals and anything that is purple. * She claims that she has a habit of clinging to others by linking arms and holding hands. * She likes literature. She is also strict about grammar and spellings. * Joy says that Irene is shy and can appear cold but is really warm and kind once you get to know her. * She is the only member who has single eyelids. * Her ways of relieving stress are organising thoughts by writing in a diary, eating with the people she likes and going to the Karaoke alone. * Her favorite number is 20 because she thinks it's a pretty number. * She's really good/awesome in drawing. She once drew Taeyeon and it looked real. * She has shown an imitation of an ostrich in various variety shows. * Seulgi was mentioned by labelmate Kyuhyun from Super Junior, gaining some attention before debut. * She currently shares a room with Irene and Wendy. * She starred in a musical arranged by the company entitled School Oz, playing the lead role of Dorothy. 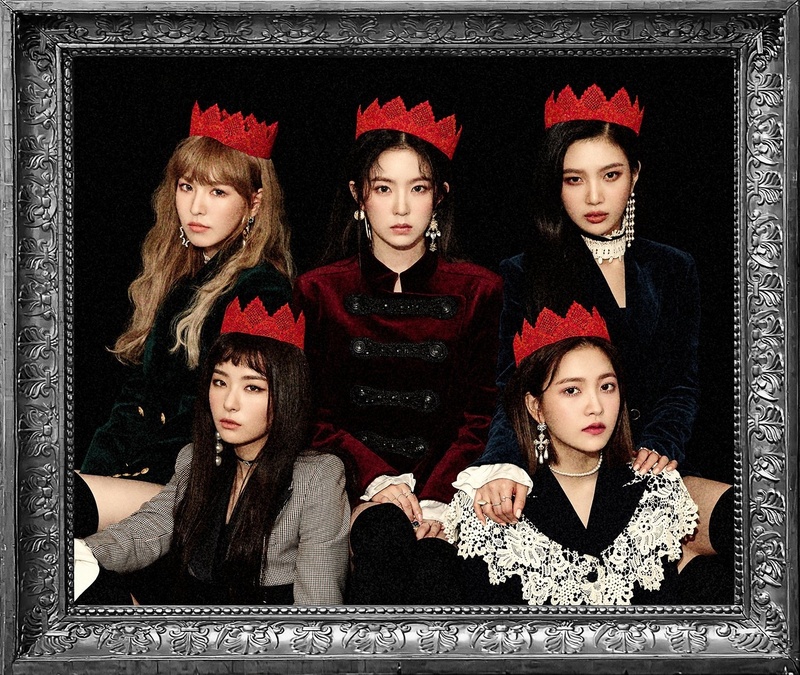 * Seulgi, Wendy and other SM artists released a digital single titled "Sound of Your Heart" for SM Station on December 30. 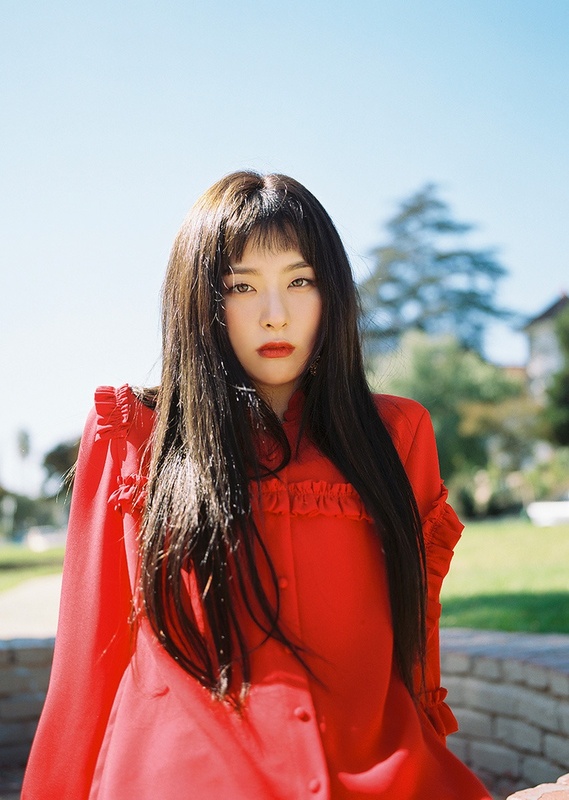 * In January 2017, she released the song "You're the Only One I See" with Wendy as part of the soundtrack of the KBS2 drama, Hwarang: The Poet Warrior Youth. * She also released a duet titled "Darling U" with Super Junior's Yesung on January 22, as part of SM Station. * She likes pringles that fans have nicknamed her " sringles". * Her favorite type of clothes are dark colors and chic clothing. * Her favorite movie is "The apple of my eye"
* Her favorite type of music is Calming Music, New Age and Acoustic music. * Her favorite color is orange because it's a color of a refreshing vitamin. * She released another song “Let You Know” for the soundtrack of the JTBC drama D-Day on October. * She says she loves music because both of her parents were music lovers. * She knows she wanted to become a singer since she was 5. * She likes all genres of music. * Her favorite type of clothes are casual attires and something plain and simple. * She has an extremely bright and positive attitude. * Being raised in Canada, she can speak in English. * Her favorite number is 77. * The other members picked her as the healthiest member. * She currently shares a room with Irene and Seulgi. * She can sing trot. * She can imitate Mr. Krabs from Spongebob. * She takes the most selfies out of all the members. * Her favorite singer is Ariana Grande. * Her favorite type of music is Daydreamin and music by Ariana Grande. * She claims that she has a habit of spacing out. * Her ways of relieving stress are going around on her own and meeting up and talking with her sisters. * Her hobbies are watching movies and singing good songs. * She currently shares a room with Yeri. guys, you should stop arguing about their position. 10 people will go say Joy is the Face of The Group, then other 10 people will go say Seulgi is the FOTG. really… it’s getting old already. we should stop arguing and wait for SM’s official statement about who is in fact the FOTG! I honestly don’t even know how to pronounce that 😂 but I’m just glad they have a fandom name already. * Nicknames: Squirtle (the reason being her resemblance to the character ) and Malgeumi ( bright ). * Her favorite number is 17. * She currently shares a room with Joy. * From May 9 to November 14, 2015, with label mate Minho from SHINee and N from VIXX, she hosted MBC’s music program, Show! Music Core. * She likes chocolate and strawberry ice cream. * Red velvet says she’s the messiest member. red velvet has an official fam name already and it’s ReVeLuv. 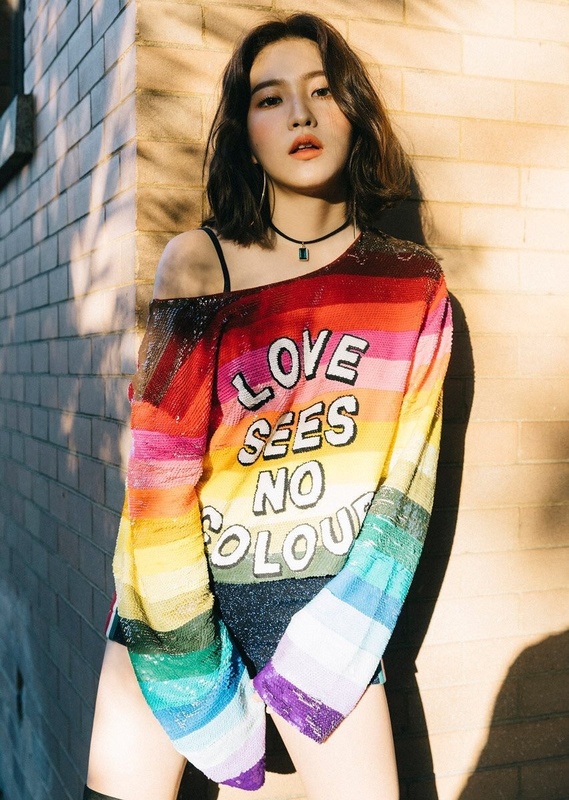 It was confirmed by Yeri and also posted on allkpop. my current bias is Seulgi. I loved her shyness when she was a co-host for Idol Battle Likes. Irene is great friwnds with V of BTS and Sehun of EXO. Hahah. I’ll just edit it. Irene studied at Haknam High School. I’m just gonna ask when will you make an individual profile for each member? We’ll try to make them as soon as possible. Unfortunately, we’ve been facing some server issues which delayed us. 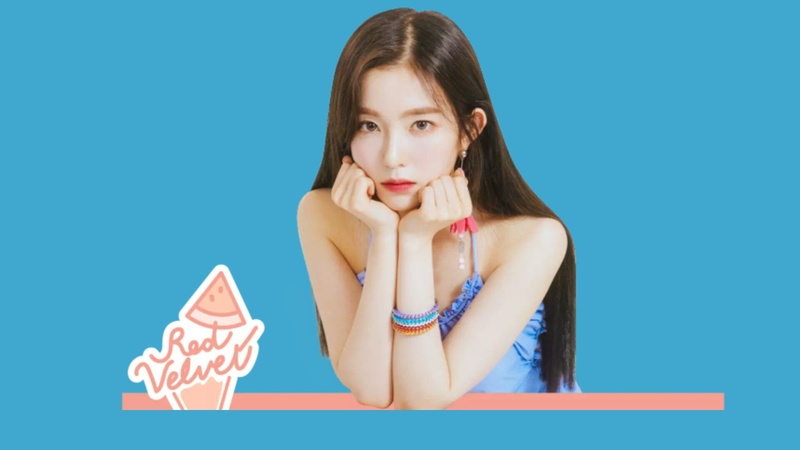 We started making the individual profiles for the Red Velvet members. Irene’s profile is done. We credited you both here on Red Velvet’s profile and on Irene’s individual profile! Your welcome!. Thank you so much for making them individual profiles. Irene’s favorite movie is “The Notebook”. Irene is a very flexible person. Joy likes to collect lip balm. Super Junior’s Eunhyun helped Joy learn how to dance. 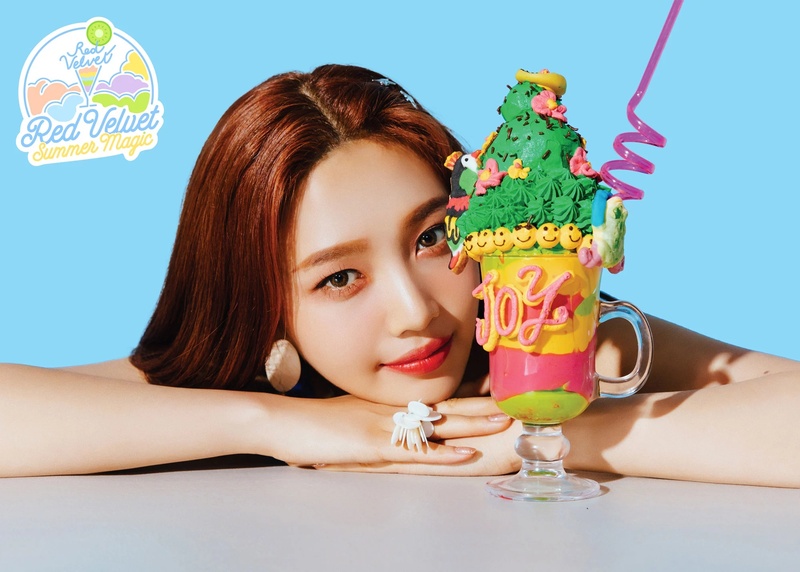 Joy’s favorite number is 31, because she likes ice cream and Baskin Robbins has 31 original flavors. Seulgi starred in the SM Entertainment musical, “School Oz” as Dorothy. Seulgi likes dark colored and chic clothing. it’s correct how is written now. Yeri WAS a part of SM Rookies! These were already noted in her individual profile. 🙂 Thanks anyway. am i the only one who is super concerned about their weight??? Who loves Irene And Joy ?!?!?!!? My first bias was Wendy but after watching Sungjae and JOY’s we got married, I started to love her more. Wendy’s Birthplace : Seongbuk-dong, Seoul, South Korea. Wendy used to live in Canada & the US! I find that Joy look more like Lee SungKyung (Weightlifting Fairy Kim BokJoo) than look like Kim Yoojung, it’s just me~! Yeri is take a hiatus, but eventually leave/Terminate contract before renewal. Not renew her contract in order to pursue other activities. Don’t worry about losing weight, worry about being healthy. If you focus on losing weight, you could wind up with an eating disorder. Just focus on eating right and exercising for at least 30 minutes a day. Could you replace their photos with new ones? 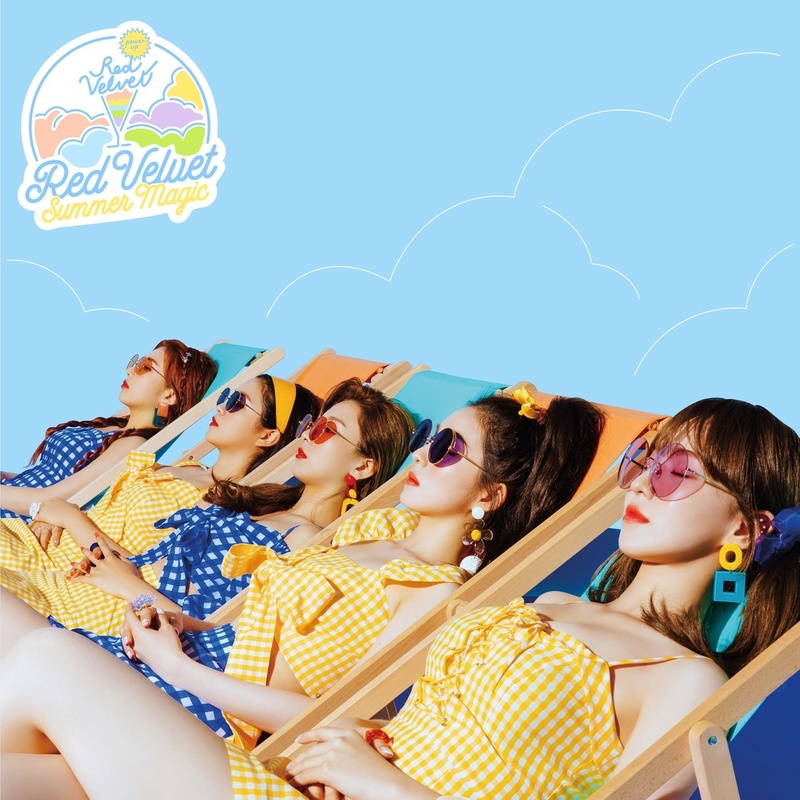 They have new concept, It is called The Red Summer. Yeri’s position is:lead rapper,vocalist and maknae.She is not a dancer. Muscle mass takes up less space than fat so don’t worry about the weight. Instead what I do is log what I eat and it doesn’t have to be on a daily basis, make sure I at least do one exercise a day, and if you really want see what size you are in clothes. In the end, you could end up weighing a little more because you lost fat but gained muscle but also grew thinner. 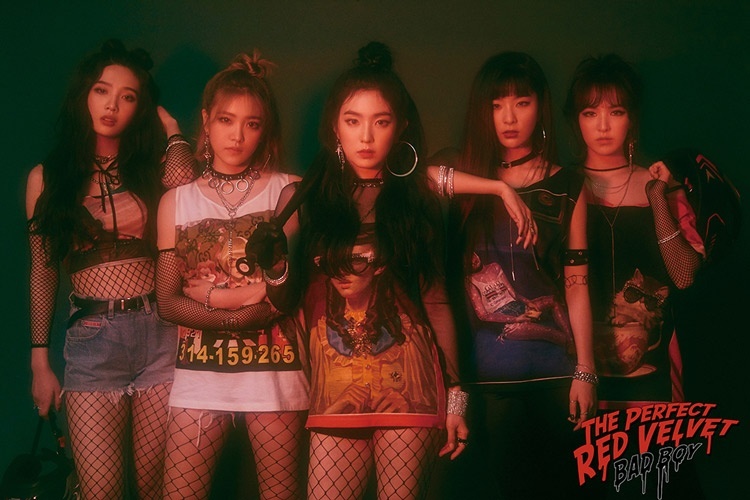 I think Seulgi is the Face of the group still. You don’t need to lose much weight if you want to have a nice toned body. Your weight is a healthy weight but if you want to be more slim and toned then that’s also healthy. Don’t focus on the number. Just do what others have said. Eat healthy and exercise regularly. Start with three 30 min exercises a week and watch your calories. Pay attention to what your calories are made of. Lots of lean protein and veggies. Don’t cut out anything entirely just eat it in moderation. 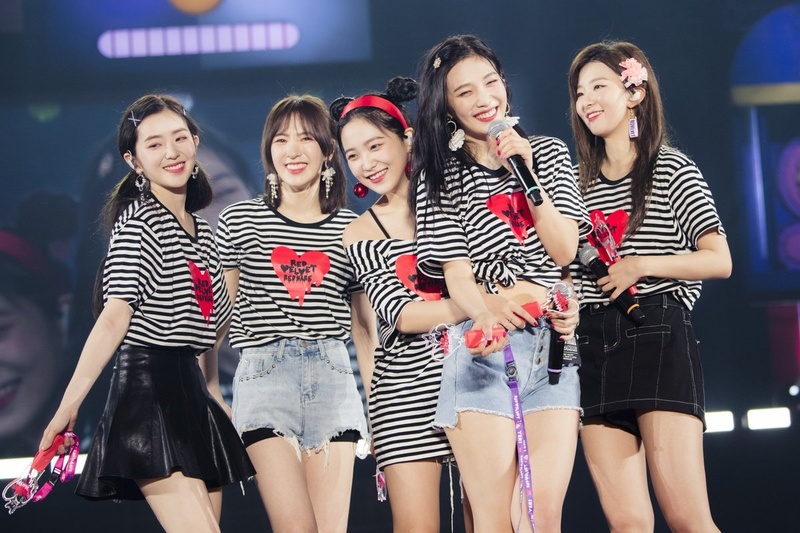 joy is face of the group and seulgi is center. 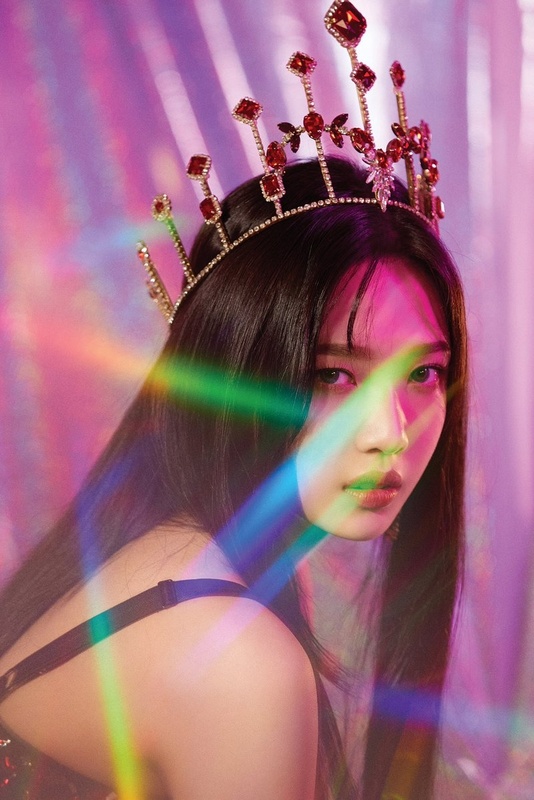 6)Joy was chosen as the member who craves the most attention from her members and likes to be acknowledged and complimented by her members so that she can boost her confidence. Wendy is the member who usually compliments her the most. 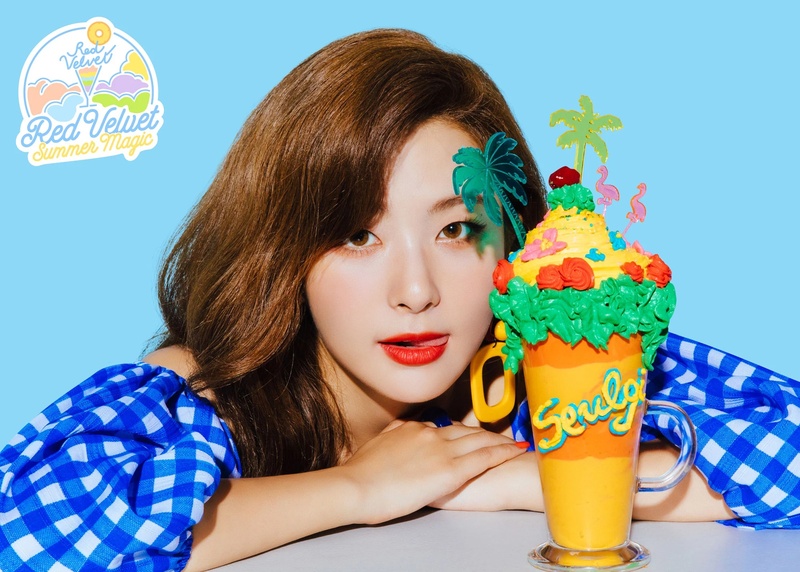 8) Seulgi was chosen as the most flexible and adaptable member to difficult situations as she is very hard working and has a very positive mindset which the members envy. what is that? is it something official like a sub-unit or something? or it’s just how fans call them – “the fruit trio”? Irene is also a main dancer. And she is flexible. Thank you. Can anyone give me link to download level up project with english sub? Yeri’s favourite singer is Ariana Grande an one of her nicknames is Yeriana. Wendy stays up late at night baking goodies for others. Wendy has the least aegyo within the members. The other members said the Wendy is the most beautiful without make-up in a Red Carpet Interview of an Award Show. May I know who’s face of the group? 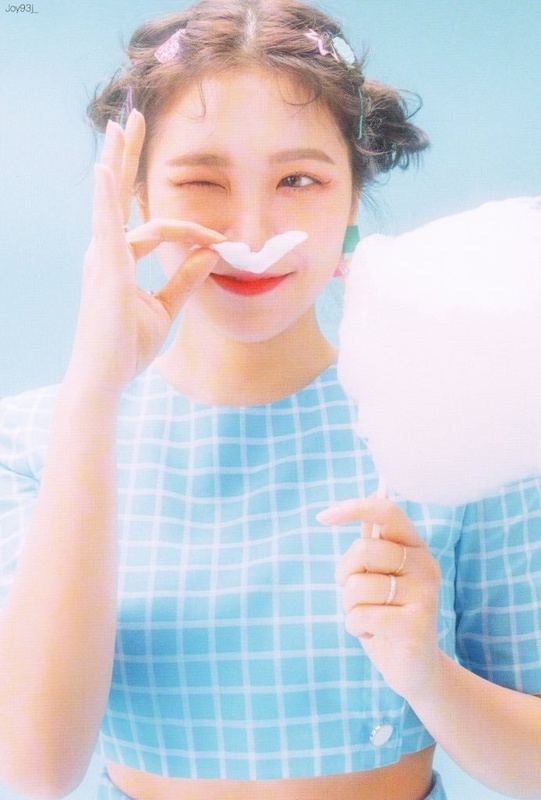 Yeri often plays hide and seek with her sisters. Companies often circle the heights of their idols to make the idols seem taller. Wendy is a sub-rapper. She substituted Joy’s rap part during ice cream when she was absent, and rapped Irene’s part in Dumb Dumb before. the positions refer to what usually Red Velvet singing positions are. you cant say Wendy is a sub-rapper just because she substituted a member’s rap when that member was absent. o__O it’s about what she sings in Red Velvet when all the members are around. 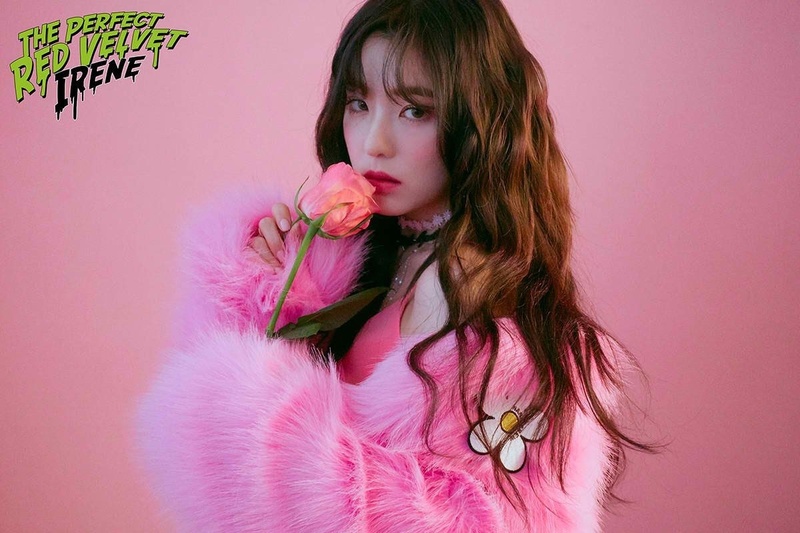 Even though she is the best rapper in Red velvet, since she’s the main vocalist, she wasn’t assigned to rap. groups don’t always have a face. the fotg is usually the most recognizable member or the member that the public / casual fans usually know / the one that gets promoted the most. i wouldn’t say the rv really have one. if she is considered the 3rd dancer it doesn’t automatically means she is a lead dancer. the 2nd good dancer is always the lead dancer. but in many bands there is just 1 main dancer and 1 lead dancer. And Yeri says on Knowing brothers that she is scared of people & k-netizens. Irene often make the most mistakes in their dances while Wendy makes the least. *Wendy has a very bad luck while Irene has a very good luck. (As seen on every videos/shows they attend, Irene would always win while Wendy always loses). I think wendy is sub rapper because she rap in Dumb dumb and Ice cream when Irene is not there. HAHAHA sarreh for my english. Joy is lead vocalist, not sub vocalist. Yeri is also lead dancer I believe. Also in Peek-A-Boo’s choreography Yeri stands near the front a lot and is usually standing with Seulgi and Irene, the other dancers. hi can someone tell me the members from left to right. can you change the pic for irene and yeri?? Joy is also close with Blackpink’s Rosé. Yeri is also close with Blackpink’s Jennie. Seulgi is also close with Blackpink’s Jisoo and Lisa. Wendy is also close with Blackpink’s Rosé. Irene is also close with Blackpink’s Jennie. All of the members are ranked most beautiful faces of kpop 2017. Irene ranks #3 Yeri ranks #15 Joy ranks #20 Wendy ranks #29 and Seulgi ranks #31. Joy said she want to collaborate with blackpink rosé. She really love rosé’s voice. In April 20 2015 Irene was chosen to be the new female MC together with Park Bogum in KBS2TV’s Music Bank. Wendy has the same birthday as me, Feb. 21. I really want a collaboration between Joy and Rosé!!!! how do you know that? did they say in an interview? They had a lot of interaction. In an interview Joy said something about lunch with Blackpink. Change the seul-gi to irene on that #55th ranking on 100 WMBF in irene’s achievement on her description, admin. Gomawo~! confused for the vote xD they are all my favorite. Seulgi is main dancer, it’s normal she’s better, because “main” is better than “lead” in Kpop. I personally also like Irene’s dancing style way more than Yeri’s but Yeri is also promoted as one of the dancers. Ok yeah I see it. I still think it’s kind of weird for Yeri to be a lead dancer when there’s such a huge gap between her and Irene. Seulgi and Irene have always been the first and second dancers and no one has ever had a problem with this. I think Yeri is the third dancer, but it’s still controversial and I see a lot of people who think that Joy and sometimes even Wendy are better than her. I think I even remember that Joy used to be listed as a lead dancer at some point on this site. To me, the dance line should indisputably be better than the rest of the team. Like with BTS, their dance ranking looks like this. So, it’s kind of weird to me. Wendy is a sub rapper, she does all the rapping adlib in Ice Cream Cake, rapping Irene and Joy’s rap when they’re absent and rapping in a lot of tv shows. You can find them easily on youtube. 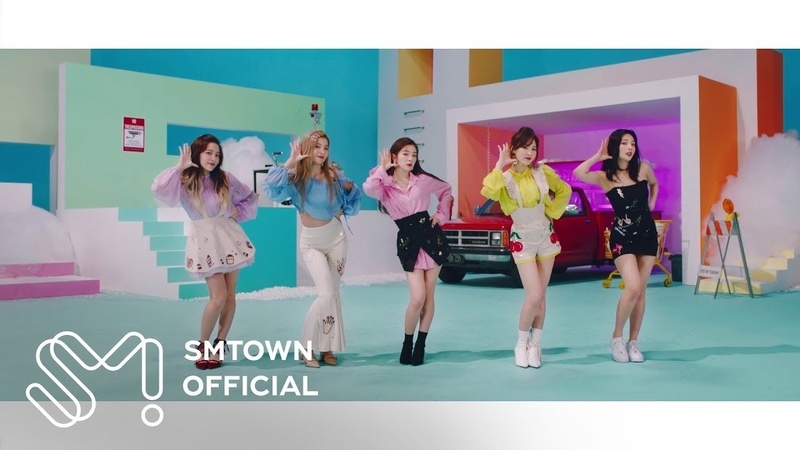 I don’t think you’ve got this yet but in this video ( https://m.youtube.com/watch?v=yoXyrsWomCY ), Seulgi likes to color coordinate her clothing. Irene was a member of an forum cafe for people dreaming of being an idol predebut. Irene didn’t pass the audition. She said in an interview that she received a call a while after she failed her audition. The staffs probably later realized how pretty she is LOL!! I just had to change my profile picture to Joy because she is so pretty! I think a part of that also has to do with weight loss. I know celebrities lose weight to make themselves better looking on screen but I would really rather they eat more. Irene and Seulgi are both centers. They switch frequently between comebacks and photoshoots. the gap isn’t THAT big. It’s there, just not as big as you’re making it sound with the bts comparison. Joohyun and Juhyun is the same name, 주현, only Juhyun is how it’s pronounced. it’s the same thing. both 2 romanized versions are accepted! Whats the difference between the “official height” and the “real approx. heigh” what is the real one? Yeri is definitely not a sub-rapper. She basically raps in every song of theirs and she also wrote Red Flavor’s rap herself too. I agree Yeri being a lead rapper not a sub-rapper. They’re both lead rappers. There can be multiple lead / main rappers in a group. Also, a sub-rapper and rapper are literally the same thing. 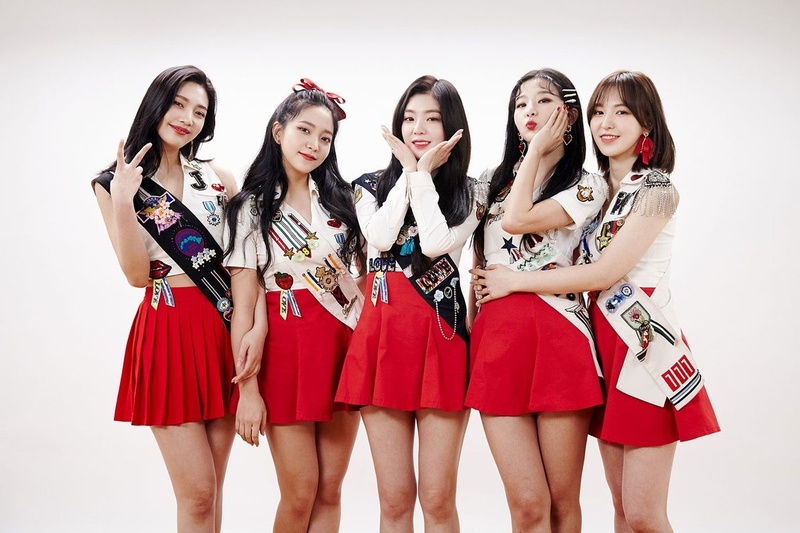 woah, really i’m not a red velvet fan..i’m into boy group, but seriously, these ladies are gorgeous..yeri somehow resembles IU here, joy is like kim yoo jung, irene is like a mixture of tiffany and a pretty taeyon (not saying she’s not pretty, i meant the pretty version of taeyon..at first i find seulgi the prettiest..but the more i look at them, irene has this charisma..she is the most beautiful for me..nonetheless, all of them are equally attractive and pretty..
Wendy made a song with Ricky Martin called Vente Pa’ Ca. the FOTG is the member that is most popular and promoted on tv in S.Korea, not internationally. that is Irene. when did SM confirmed that Seulgi is the FOTG? proof please! they are both Centers, what do you want to change? they share the Center position, please don’t be biased! 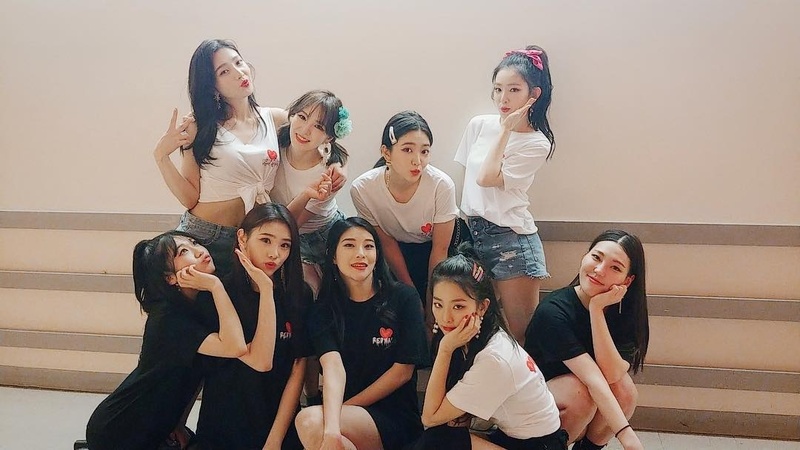 face of the group is JOY, not IRENE or SEULGI. JOY is most popular and most promoted on tv in south korea like her two drama. She acted in 2 dramas because she has the talent for acting. Also she is the one who was chosen to represent the band as an MC for Music Bank. Are their weights for real? I don’t think the idol weights are exact in 99% of the situations. because the K-pop companies decrease their idols weights in order for them to look more fit for the Korean ideal beauty. loooool it’s all fake when it comes to weight in the Korean entertainment industry that’s already a well known fact dear. 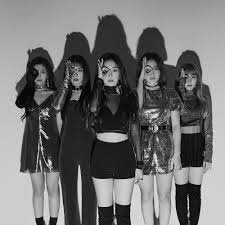 okayyy.. i think there is no face of the group for red velvet why?? 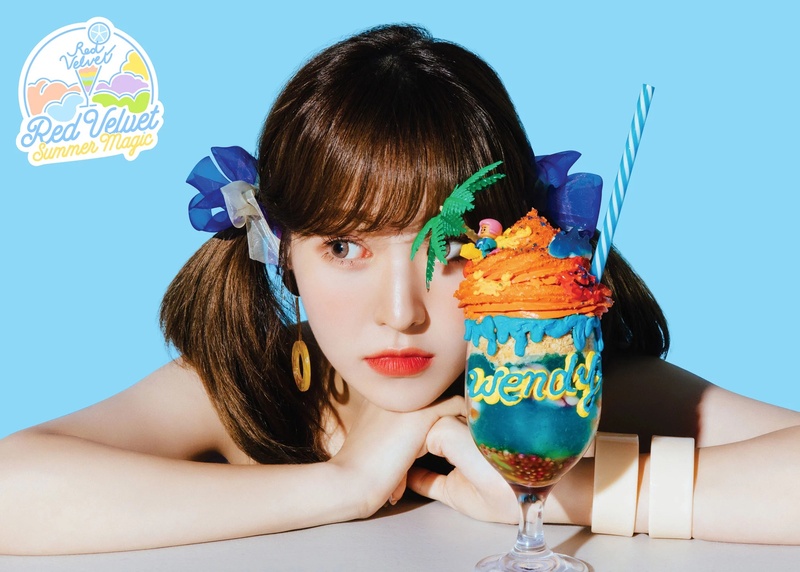 Wendy is sub-rapper, she rapped in Time Slip if you hear the hidden vocals of Ice Cream Cake, you can hear Wendy rapping. Thank you a lot for the update and really sorry for the late reply, sometimes it’s really hard to update all the facts for all the profile. Lol what do you mean by that?Is that a requirement to be a Visual? joy can’t be 43 kg.. you guys sure abt this? No, the face/representative is Irene. Even people who don’t know Red Velvet know Irene because she’s everywhere on TV and advertisements. Why?Does having a double eyelid and a lower eyelid a requirement to be a visual? 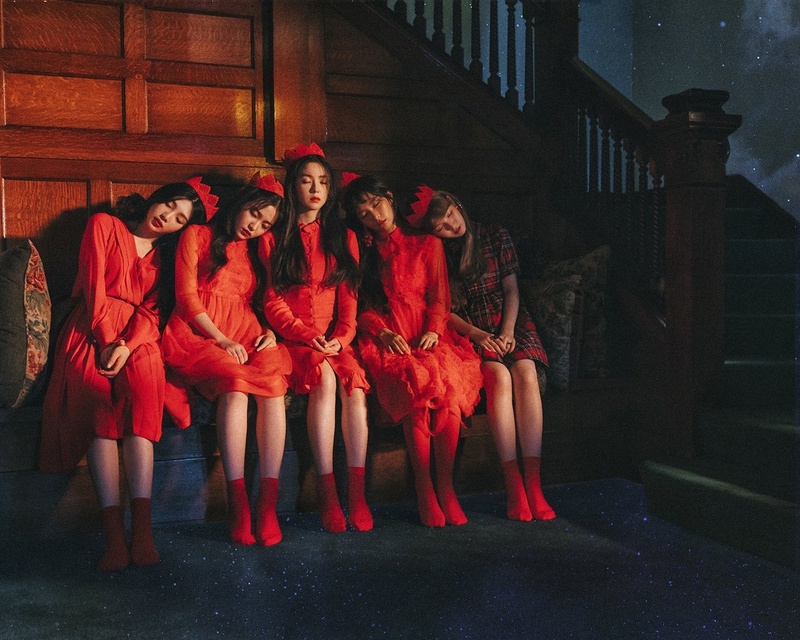 The official name for Red Velvet’s official colour is Pastel Coral, they announced on their official Vyrl account. Please correct that. And btw the “L” in ReVeluv is not a capital letter, so please change that as well, because “ReVeluv” is the official spelling. All of them got ranked in the most beautiful facese 2017. NO!!!! Why do spread false rumors???? Only Seulgi (#23 NOT 32# as you said!) and Irene #55 made the list of most beautiful faces of 2017! Joy Joy And Just Joy ! And where did you get all these fake news? The level up project show the first episode I think in the beginning. Sub vocal can also mean anything after the main vocal as it did in produce 101. They called Seulgi a Lead Vocal and they called Joy a Lead Rapper what would be the point if there was just Main and Sub. Joy is a sub vocal^ you cant deny it when their own show said so and its right in front of you. Not unless it was said somewhere else by them or their company that she was a Lead Vocal after this aired. Positions change I’m not saying it’s not a possibility but the only time exact positions are mentioned, she’s called a sub vocal, from that you can only guess she’s a sub vocal. Lead and Sub are clearly used as two seperate positions or else one wouldn’t exist or be used so often as a seperate position by groups, articles, shows, etc. can you specify in which show was this written? You don’t have to be rude, it’s SM’s choice for dance, vocal and rapper so you have no right to judge. Are you a KPOP idol? Have you experienced the hard training and determination it takes to become an idol. I can see that all 5 girls try their hardest and would difinitely not appreciating you harshly criticizing them. Joy and seulgi are lead vocal , yeri and Irene are sub vocal . I hope that they stay healthy and eat properly. How they pick a lead dancer isn’t solely based on stage performances -they also look at the person’s rhythm and ability to learn choreographies quickly and efficiently. As well as this if you check out their most recent dance practice for “Look”, you’ll notice that she’s practically on a par with SeulGi. Just because you don’t like a member, it doesn’t make them talentless or inept. I’m not a huge fan of Irene’s personality, but I’d gladly admit that she’s a great rapper and amazing dancer. 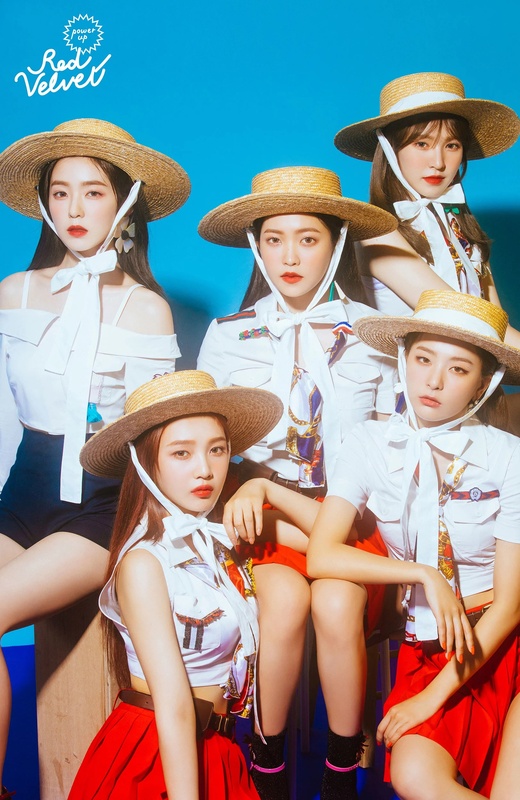 Isn’t Irene the face of the group ?? 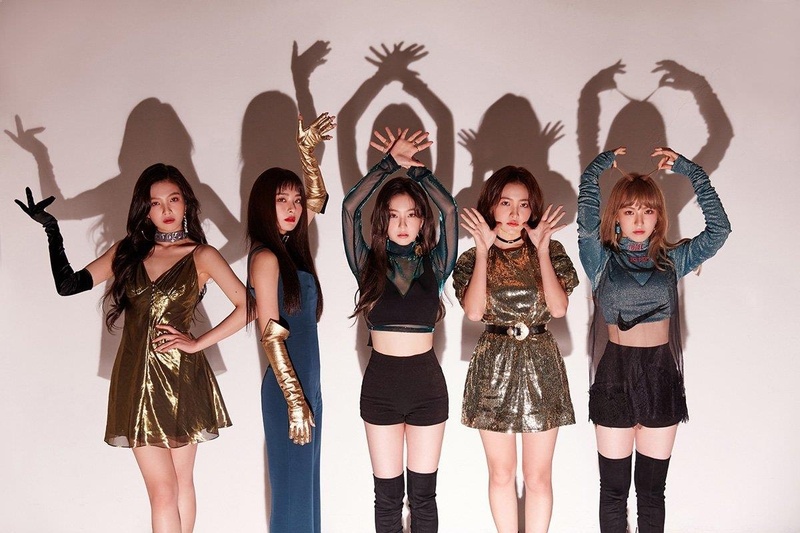 In Irene’s positions, she had the ‘Face of the Group’ position but now it’s gone ?? I’m confused ?? 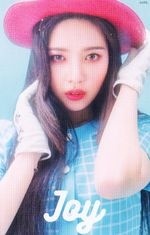 Joy does not fit the korean beauty standard. Joy is the sub vocal, they said so on show. idk i forgot what show. There’s no sub in rapper, she would rap less and sing more if she was just a sub vocal nor rapper ex; Wendy. and the show could be wrong tho. ex; in some show they said that yerin gfriend was the visual i mean she does fit the korean beauty standard but she was not admited as gfriend official visual, and Sowon are the official visual. yes it is the requirement for the visual, according to the korean beauty standard. lol u only joy biased dude. theres no sub in rapper, but you could call it sub-rapper bc it is the same thing. Yeri isn’t a Lead dancer. There are sub rappers, idk about that situation so I’m not paying attention to that, and and if you can’t find another source then their own show is what we should be listening to. But doesn’t Irene promote the most ?? She’s in many commercials, many tv shows and many music banks mcs, so does that mean that she is the face of the group because she promotes the most ?? She does. 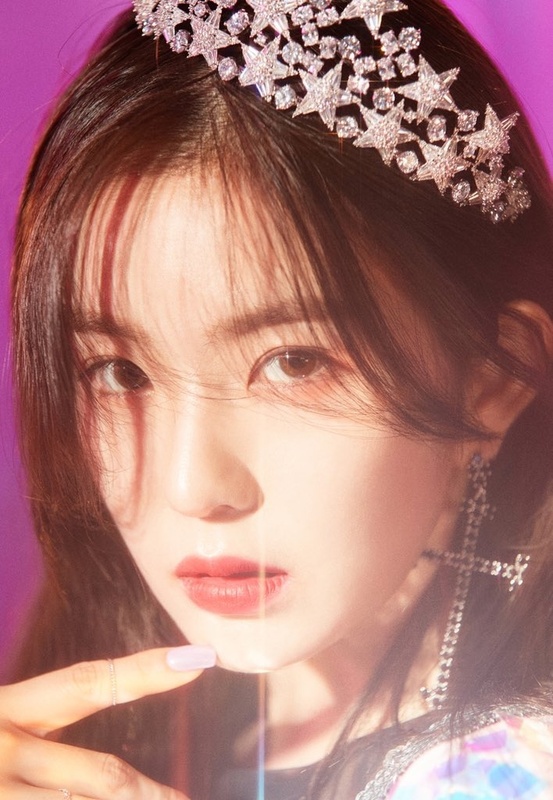 She’s considered the second most beautiful member in the group according to Korea’s standards (and Koreans have talked about how beautiful she is) but Irene is definitely prettier is considered perfect by Korea’s standards. I suggest you to watch their dance practice video for “Look” so that you can see how incredible Yeri is as a dancer. Joy is friends with GFriend’s Yerin. What makes you say that? Being prejudiced against Yeri is so 2016, get over it: She has more talent than haters give her credit for, and if SM see her fit for the position of lead dancer, I’m sure they have a valid reason for it. The sub-rapper position exists. A sub-rapper is only utilized when the other rappers in the group are not present or busy. The difference between a sub-rapper and rapper is,the rapper would normally get rap lines in title tracks and the sub- rapper would usually rap on live performances when other members are sick. And don’t tell me that Wendy isn’t a sub-rapper cuz um excuse me she rapped in Time slip and rapped a few times in music shows when a certain member wasn’t present. So for a example Irene wasn’t present that leaves you with Joy/Yeri to rap her part but no they made Wendy do it and that happened like 3-4 times in music shows same goes for Time Slip so the point is she is mainly a vocal but has the capability to rap well making her a sub-rapper. She usually gets more lines than Irene who is a vocalist so why the heck would she be a sub-vocalist. Sub-vocalists usually only get 1-3 lines. It’s common for idol’s companies to lie about their heights and weights tbh. There’s just no way someone as tall as Joy is under 100 pounds. Yeri is a big fan of Emma Watson. (Naver V Live November 16), when she remarks wearing same Bella outfit as Taeil of NCT. Seulgi is also good friends with Blackpink’s Jisoo. joy is close to Twice’s nayeon right? From which show are the pics you provided? Thank you for providing the source, the positions have been updated accordingly. Wendy moved out to Canada at age of 10, so she never attended middle school in korea. So Joy isn’t a lead vocalists? I think recent comebacks she’s showed her singing abilities. Also how do people/fans determine idols positions? 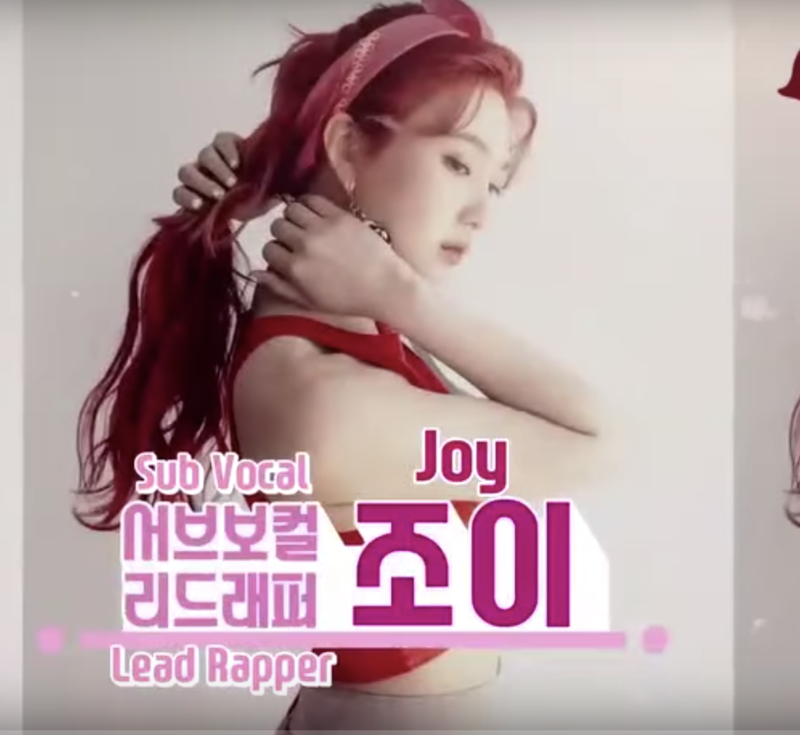 in Red Velvet Level Up Project Ep1 Joy was clearly introduced as Sub Vocalist not Lead Vocalist. so it’s not always as we think…..
Are you a new fan?? She is a lead rapper. She rapped in their debut song “Happiness”. And she rapped a lot in their songs. You should listen to Ice Cream Cake, Dumb Dumb, Huff n Puff, Time Slip, Don’t U Wait No More, About Love & many more. 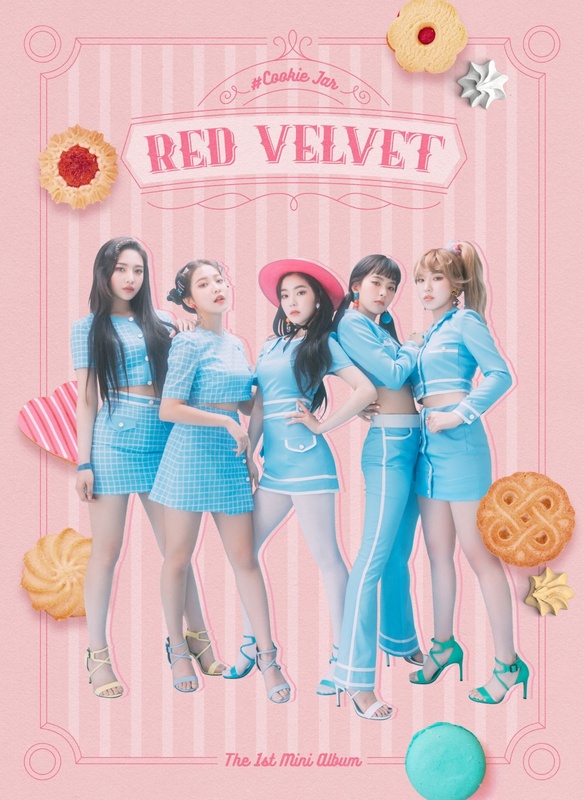 Cookie Jar is red velvet’s latest comeback! But you list Twice’s Japanese comebacks. why cant you list red velvet’s? 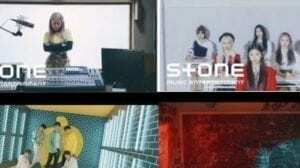 We only list the Korean comebacks for all the Korean bands in order to avoid confusion. If you happen to see a Japanese comeback listed instead, please do let us know, so we can correct it. Oh come on why strip Joy of her lead vocal title? 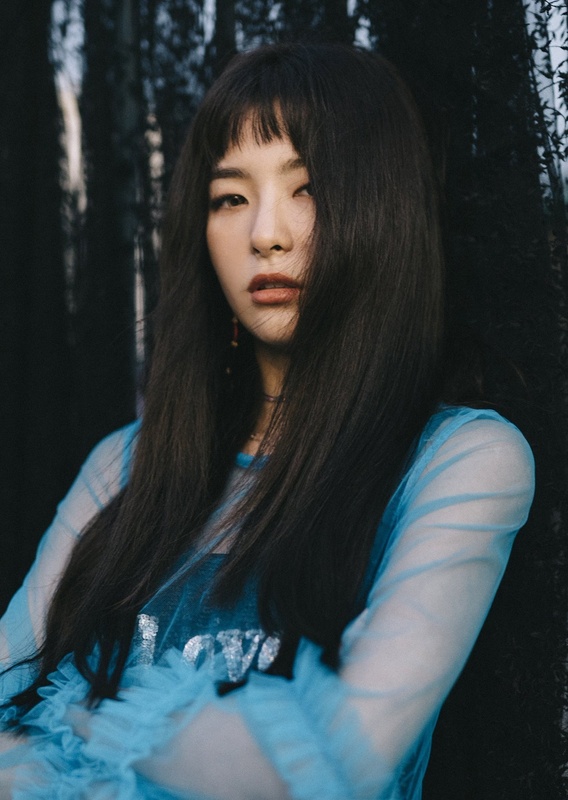 Just because she’s not treated like Seulgi as a lead, doesn’t mean she isn’t one, she’s got an extremely unique and strong voice, she is a LEAD vocalist. 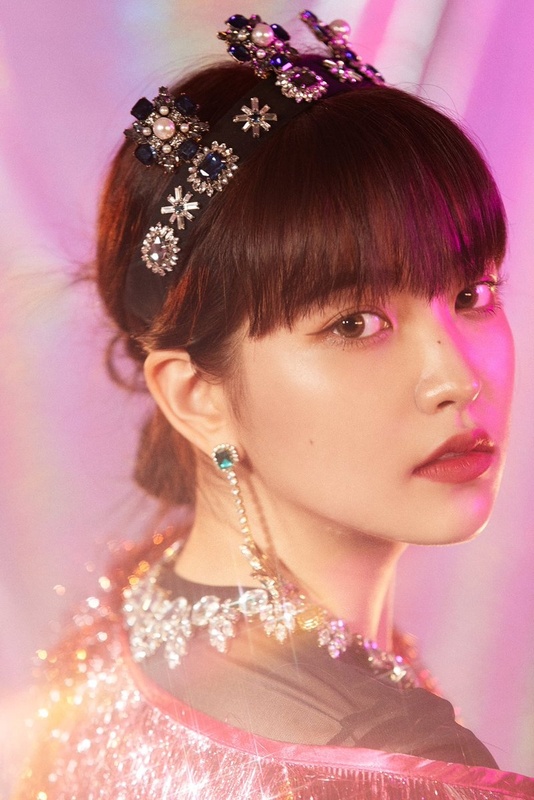 honestly i think the Level Up project stuff is terrible, creating more subs in the group just makes the impression they’re less talented, Joy will always be a lead vocal and Yeri is a lead rapper in my opinion. That’s what I thought too because her voice is strong and unique. Jennie is also listed as just a vocalist on Blackpink’s profile too! also don’t bring up other idols from different groups and compare them as it might cause fanwars! Joy isnt a lead vocalist? And Yeri a lead rapper? Why? We should stop guessing the positions ourselves! hey so when i saw joy’s weight, it really bothered me because it seemed very low for her height. I am 5’6 as well and I weight 120 pounds, a very healthy and almost even close to being underweight if you use the bmi scale. so when i looked hers up, her bmi was 15.2. 18.5-24.9 is considered healthy for a women. i don’t think it’s really possible for her to sustain that weight while working hard. so I was wondering if maybe this information is wrong? it’s an already well known fact that the Kpop companies ‘adjust’ their idols heights and weights in order to look more impressive in the public’s eyes. I don’t know why is that obsession in S. Korea for the idols to look underweight…. Joy’s been rapping longer than Yeri has. Ever since their debut Joy rapped in Happiness, ICC, Dumb Dumb, and many side tracks. Joy is lead rapper & lead vocal (that’s he way it SHOULD be). Yeri only rapped in Red Flavor. And Joy should be lead vocal because lately she’s been showing her vocal skills like in bad boy and cookie jar. 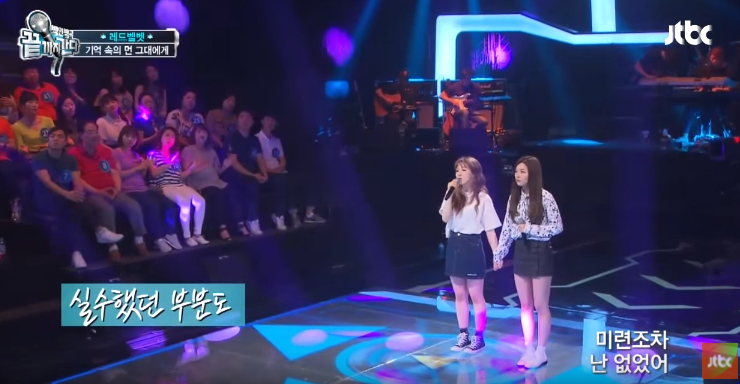 Joy should be a lead vocal because she sang with Seulgi and Wendy on a song. Irene and Yeri were not present. Also she sings chorus too with seulgi to back Wendy? what if she sang with with Seulgi and Wendy when Irene and Yeri were not present? that doesn’t proof anything. in Twice for example, Sana sings often the chorus and she is just a Vocalist not a Lead Vocalist. Joy is actually listed as a lead vocalist officially by SM. I’m not sure why that’s not written here. That’s been the case since the end of 2015 and certainly by 2016 and the release of “One Of These Nights”. To be clear, this isn’t based on Joy singing with anyone or the chorus, but because of their official positions given by the company. I searched and couldn’t find any SM official post in which she was introduced as a Lead dancer…. Yeri is now lead rapper instead of Joy, Joy is just a rapper. Joy is also lead vocalist. Joy is probably 5’6 or 5’7 but in some societies, people don’t really care about BMI or anything like that. Also, it’s an highly inaccurate of measuring health as well, as it doesn’t take into account genetics. Yeri raps in the majority of their side tracks, only irene raps more than her. Uhhh no. Excuse you. Just because Joy doesn’t rap as much, doesn’t mean she isn’t a rapper. Joy’s been showing her vocals lately, but even in Level Up 3 they realvelaed the members positions. Joy is a lead rapper and Yeri is just a rapper. Get your facts straight! I’m afraid you haven’t heard Joy’s rap in Ice Cream Cake. I do believe that Joy is a lead vocalists now though, Yeri isn’t quite a great rapper but I believe she deserves sub-rapper and Wendy should just get rapper. uhm… irdk why your fighting on where their positions as artists should be when they’ve decided it and they will continue to see what they think is suitable for their vocals, standards as professional artists. Its quite of an insult if you complain abt who’s fits what?! Okay, BEFORE I get a load of hate from crazy fans,please read this to the end. This is what I thought the positions were. Irene: Visual, main rapper, lead dancer, vocalist, leader, center. Seulgi: Main dancer, lead vocalist, center. 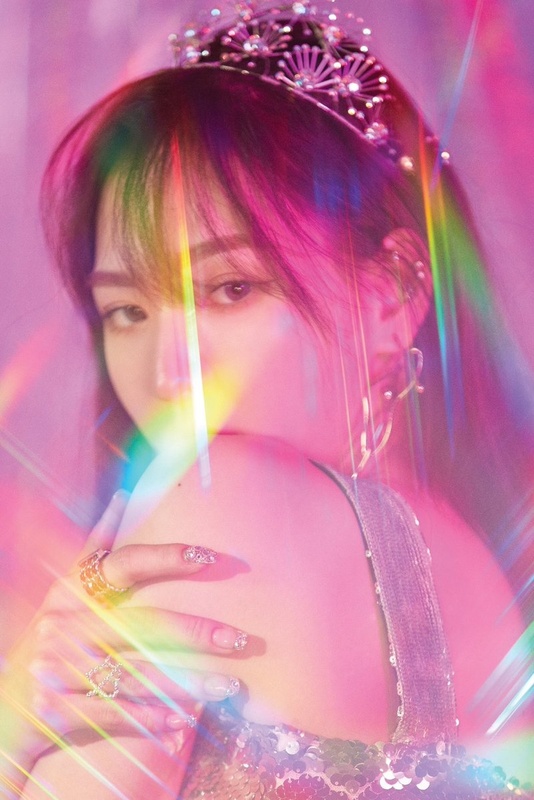 Wendy: Main vocalist, sub rapper. Yeri: Maknae, lead dancer, lead rapper, vocalist. TALENTLESS is not synonymous to DISLIKED. If you don’t like somebody, that’s totally fine; you do you, boo 😉 but stop all the hate. A true Reveluv wouldn’t be going around hurling abuse at Yeri for joining later, or shaming Joy because her face is cute and a lil squishy. So here’s what I think: If you call yourself a fan/stan… ACT LIKE ONE! All of these girls are so [email protected]!ng talented and gorgeous and they all deserve so much damn *love* and **support**. Haha lol, is the RV meant to stand for red velvet? I find that amusing, considering how (1) you’re bringing red velvet members down, (2) you’re being aggressive to (real) fans and (3) you’re literally just acting like the worst kind of fan. If you have proofs that Yeri was introduced as a Lead Rapper and Lead Dancer please share. We talk about official positions here, the way the members introduce themselves. The ones given to them by their company/staff! Else each can guess only Lead and Main positions for their biases. Again I’m sorry if I sounded rude or anything, I guess it wasn’t my best day. those are the positions. there’s nothing we can do about it. isn’t joy a lead vocal ? like istg i checked this a month or so ago and she was listed as a lead vocal & lead rapper. I also thought she is a lead rapper and a lead vocalist but nope…. It would make more sense than that what’s there now..
Joy never raps now, she is active only vocally since Russian Roulette and becomes many vocal lines, while Yeri raps in every comeback since Red Flavor. She was rapping in Red Flavor, Peek-a-boo, Bad Boy & Cookie Jar (title tracks) and she sings not so much like a vocalist would do so I think she is honestly a sub because with the vocalist title she would get much more lines (she did only in Rookie & Russian Roulette). Red Velvet have designated animals! Honestly if we’re going by what SM said with positions doesn’t that mean that Seulgi is just a main dancer? The video didn’t say she was a lead at all. The video also said Irene is the leader not the main rapper, so wouldn’t her only position be “Leader”? I think having Joy listed as a Lead Vocal was correct mainly because groups such as BTOB have listed members as Sub-Vocals and Eunkwang as the Main Vocal. and Yeri is the 5th Vocal. I think if she’s going to be positioned on this site as just a vocalist based off a series that got information “from SM” then everyone’s else’s positions should be listed as such. honestly I have a hard time to understand the way the positions are allocated by the Korean companies sometimes. Then if they just put her leader position why don’t you guys still have other positions that aren’t confirmed? She wasn’t listed as the Main Rapper or anything of that sort. Basically you’re going off assumsption right? There is nothing wrong with that but you can’t pick and choose who you decide to give an “official” position to and who you want to list based off assumption. Like you said Suga is a sub rapper by his company but he is listed here as a Lead Rapper. So wouldn’t it make since to list her as a Lead Vocal if you’re going off assumption? Everybody knows that Irene is also a visual of the group, Yeri is the youngest so she is maknae. Wendy was covering rap parts when Irene or Joy was absent but I don’t know if she is a sub rapper. dw don’t apologise, you didn’t mean any harm by it. i honestly think the reason why seulgi’s in the center alot in their choreo is obviously bc she’s the main dancer. 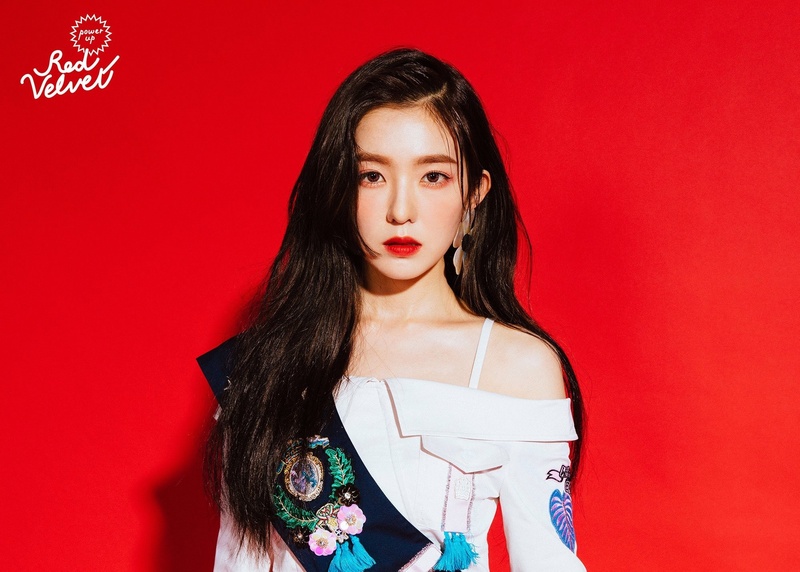 irene usually ends up getting the final center position most of the time, she’s always in the center on their photoshoots and this website ( https://disq.us/url?url=https%3A%2F%2Fnamu.wiki%2Fw%2F%25EC%2598%2588%25EB%25A6%25AC%3ATE54bhs8UHWcMNhVVK-JqoJ7lH4&cuid=4146647 ) only says that irene is the center. Where did you read that she isn’t center anymore? Seulgi is the Face. Irene is Visual/Center. Joy isn’t a lead vocal. That position rightfully belongs to Seulgi. Joy is a really good singer, but she can’t sing the difficult parts that Wendy as a main vocal and Seulgi as a lead vocal does. I don’t get it, last time I checked it was written that she was 43kg?? Isn’t Wendy a sub-rapper still? I know that they didn’t label that as her position, but she’s basically the definition of a sub-rapper. She covered Irene’s rap parts in ICC when Irene wasn’t with them, so she was a substitute rapper. Subvocalist is third best singer in their group of 5. Subvocals are not the main nor lead vocalist, but are part of the vocal line. That’s Joy’s position. And Irene is the main rapper. 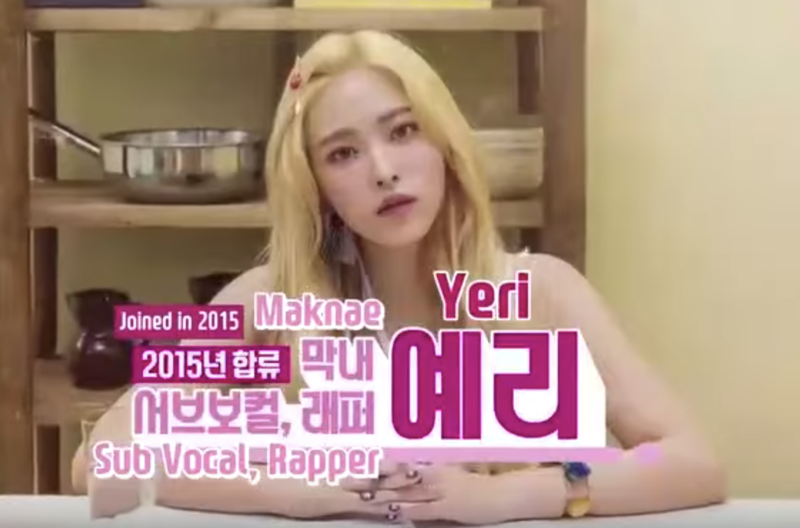 Yeri is not the only rapper in the group. Joy used to be lead rapper, but she sings more than she raps these days. Yeri definitely feels like the lead rapper these days. 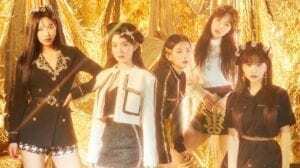 Because I think Irene position is Visual and Seulgi position is Center.And I think Joy position is Lead Vocalist because she most part as Vocalist than rap and Yeri position most part as Lead rapper than vocal. Those listed by you are just fan-guessing positions! She just covered Irene’s parts when Irene wasn’t there, but her official position in the band is not sub rapper! That is not her job in RV! Joy is not a lead vocal. Lead vocals are second best behind the main vocals and Seulgi is Red Velvet’s only lead vocal. Joy sings a lot more than she raps, but that doesn’t mean she’s a lead vocal. And isn’t Joy more than a sub-vocal? I mean, she definitely is a Lead Vocal or Vocalist..
Not always. Seulgi can get nasal and squeaky. Wendy’s still stable and has some shakiness to her vocals while dancing. Seulgi has better stamina, but not better vocals than Wendy. 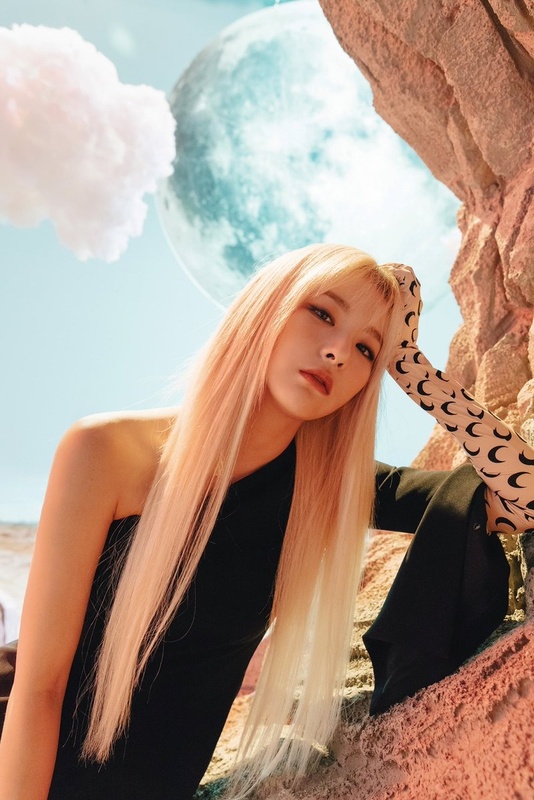 Seulgi is a really good singer and stable most of the time, but can’t hit the difficult parts that Wendy can, which is why she’s still a lead vocal. Let’s make Wendy a lead dancer because she’s been killing it since Kcon New York. Her dancing has improved so much. She’s always been more than a main vocal to me. Wendy’s the best vocalist and on another level. Seulgi is an amazing vocalist as well and Joy, but I don’t think they have the range nor as agile and versatile as Wendy. Lead vocals are second best to main vocals. Don’t you know the definitions of the positions? Main vocals are just that… the main person who hits the difficult parts of a song and known to be the best vocals in the group overall. It’s true lead vocals need to be stable and have good technique, however, they are not the main vocal of a group and usually their technique isn’t as good as the main vocal. The lead vocalist that is on a main vocal level to me is Hyelin of Exid. She showed her vocal prowess while Solji was gone and sounded very similar to her on tracks. I love Seulgi, but I can’t see her singing some of Wendy’s parts of a song. There’s a reason why vocal analysts don’t judge singers while dancing. Some singers have better stamina, but that doesn’t mean they are the best vocalists. If that were the case, then Momo could be a main vocal if we use stamina as a means to judge a singer’s vocal capabilities. I read the entire statement and disagreed with you. There are plenty of vocalists on the vocal line but they are not all lead or main vocals. Joy is not a main or lead vocal nor on the level to be one as her vocals aren’t as versatile nor range as wide as Wendy’s or Seulgi’s. I love her vocals too, but please look up what those roles mean. 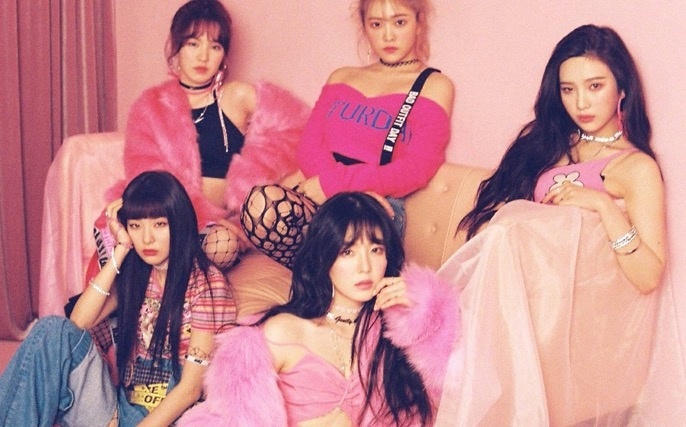 isn’t seulgi the face of the group? Irene : Leader, Main Rapper, Lead Dancer, Vocalist, Visual, Face of the Group. Seulgi : Main Dancer, Lead Vocalist, Center. Joy : Lead Rapper, Vocalist. i think it depends on which country you are from, for Asian women, not many are above 1.65, and 1.7 will be “model like height” and 1.67 or 1.68 will be above average already. so 1.60 to 1.65 will be like the norm. Yeri is friends with IU & Taeyeon. Wendy is friends with Gugudan’s Sejeong. Irene is friends with Jennie Kim. I have a friend and she’s 160 cm tall but it’s not bad. And many Korean woman has the height of 152, 155, and more. 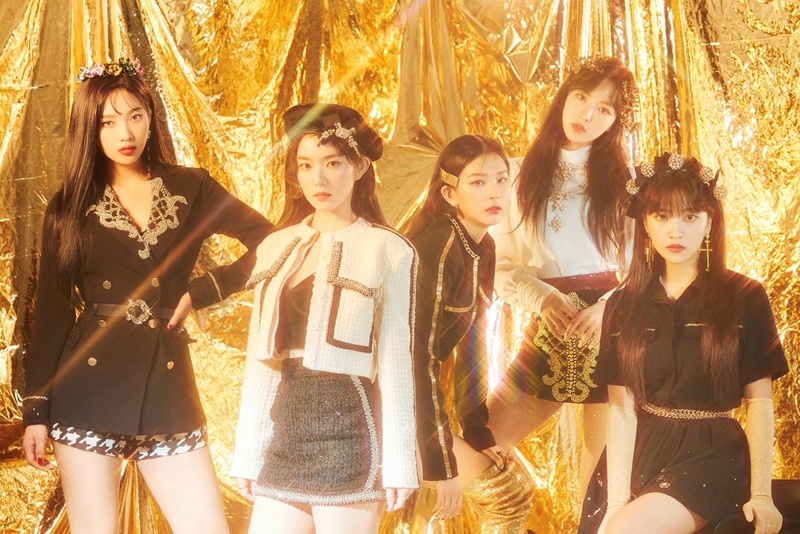 Nah Irene is definitely the center. I mean look at the ot5 pic they used lol, who’s in the center? She’s in the center most of the time. Is there anyone under 30 who really doesn’t like rap? A sub-vocal get’s usually 1-3 lines while a vocalist gets mostly a whole part or a half of a part. Joy is a really good singer, but isn’t as versatile and agile as Wendy and Seulgi, so to me I don’t think she’s a lead vocal. SM has her listed as a vocalist. I am not sure why some of you are trying to make her something SM didn’t. Subvocals can get more than that. people are saying that irene hates men? is it true.. I think Joy is a lead vocal. She always do high notes with Wendy and Seulgi and she has a great technique. Also, she was written as a lead vocal. Please update! 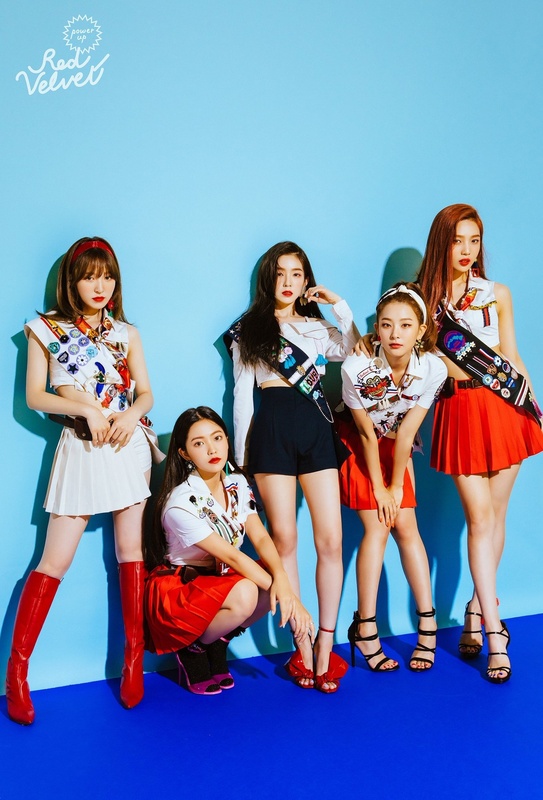 We also have a different opinion on the positions but the current listed positions are based on “Red Velvet Level Up Project” and “Super TV” Season 2 Ep.10, where the members positions have been revealed, so the profile has been updated accordingly. =/ We may have a different opinion on the positions but we are respecting the publicly announced positions. When any updates regarding the positions will appear, we’ll update the profile again. Is Wendy weight the current weight or before going on diet? 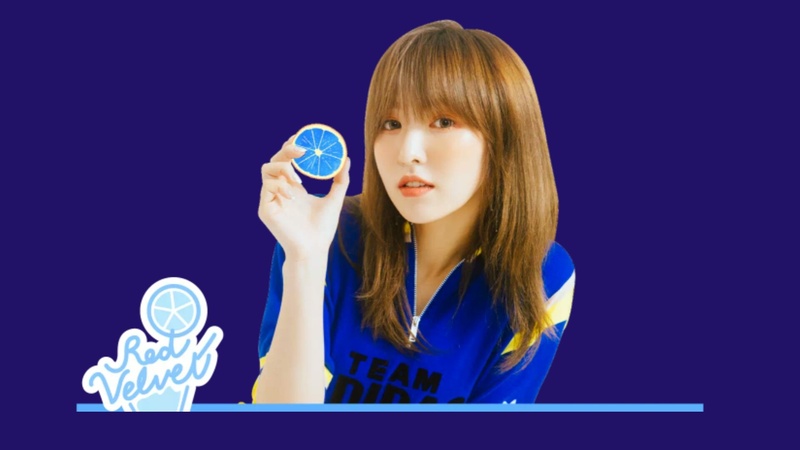 Wendy’s still my bias since I first laid eyes on the group in 2015! She’s sorely underrated. How come Yeri raps more than Joy? Valid points,but seulgi sounds better to my ears and that’s what I think it takes to be the best singer I think seulgi and Wendy are the same level. I don’t think joy and seulgi are almost the same I think seulgi has more texture to her voice idk how to put it but seulgi sounds better to my ears. They aren’t same level at all. No offense. Look at the group when Wendy didn’t perform with them for the first time. Her backing vocals showcased just how much more superior her vocals are. They didn’t even try to hit some of her notes. Seulgi sounds really good to the ears, but isn’t as versatile and agile as Wendy and can’t hit those high notes. I do love Seulgi’s tone and her adlibs are fire. 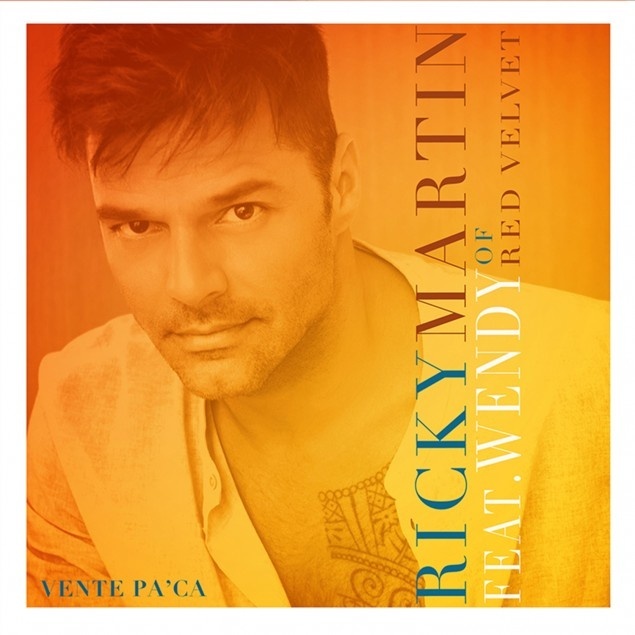 I find Wendy’s vocals to sound better to my ears and it takes more than that to be a proficient vocalist. Wendy did a collaboration on a song with John Legend called “Written in the Stars”! Wendy is so underrated oh my god, pls stan her yall. 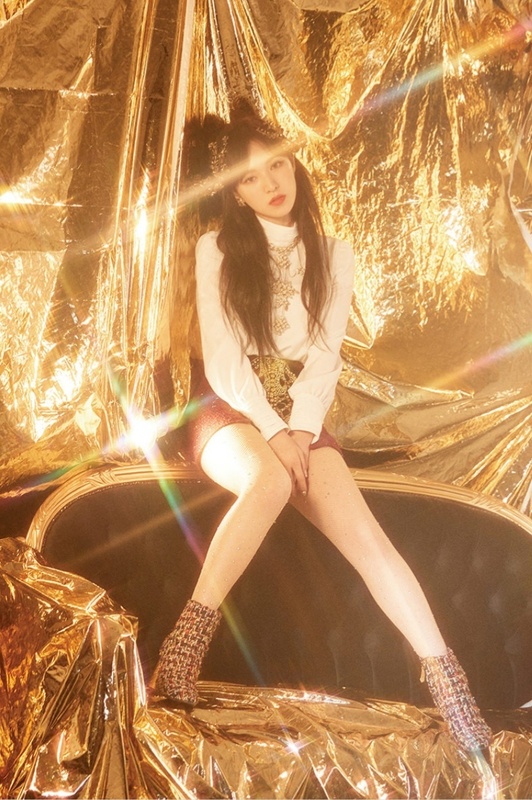 Is has been said that Wendy also auditioned for YG on YG Treasure Box. Wendy and John both sounded amazing! I play Written In The Stars on the regular! Does anybody know what time really bad boy will be released? Does anybody know what time really bad boy will be released? I’m really excited. That’s because SM promoted her really well back then. She hosted so many variety shows & festivals. But SM suddenly let go of her positions and the only compensation they gave ber is her collab with John Legend. I mean it’s good, but I hope SM don’t just stop there and give her what she deserves for her skills, not only on music production but also on entertainment. Man, I should be doing SM’s job instead. Wendy is close with SF9 Zuho! They’re so cute!!! They’re really like siblings!!! https://youtu.be/IWJUPY-2EIM Please update their latest comeback. 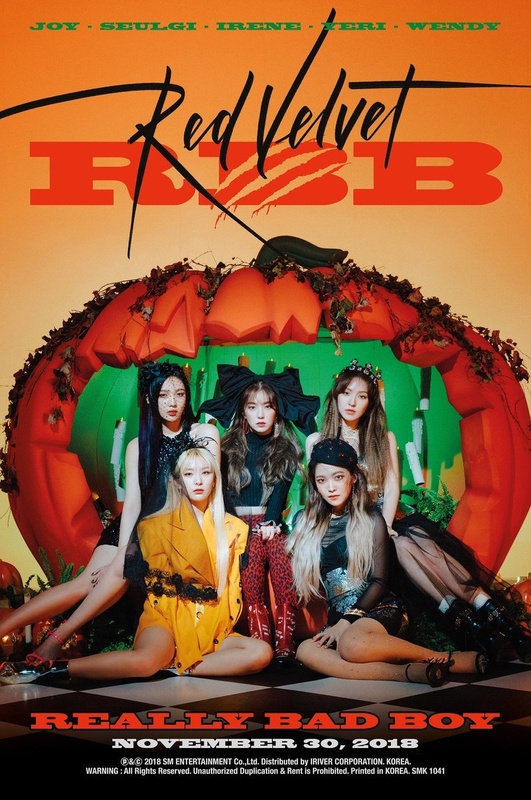 In “Taste” of the album RBB to Wendy is one of the rappers of the song, and Yeri is Lead rapper. Yeri gets more lines as a rap than Joy, while Joy is clearly pushed as more of a vocal. Joy hasn’t gotten a proper rap since Dumb Dumb in their title tracks. I think it’s safe to say that Yeri is lead rapper while Joy is lead vocalist, rapper. I watched it, but note that Seulgi was only listed as a main dancer, not a lead vocalist. If that’s the logic, then Seulgi is only a main dancer. Also, positions do change with comebacks when it comes to rap. I’m so disappointed on their comeback 🙁 the only thing i see improved is the energy and the choreo of the dance. Besides that the lyrics are the worst they ever done. All I hear is aiiiiiii and heyyy and OMG. positions don’t change every comeback unless SM states so. the positions are the positions SM gave them and it stays like that. I respect your opinion. I agree that there are some catchy parts to the song but i wish they had more lyrics. Check out their YouTube video of Zuho calling Wendy! It’s the cutest video! Wendy was rambling on about eating and dieting and him telling her she looked good and should eat! I also loved when he calls her Noona. Wendy is the true visual it seems, but they all look amazing asf! 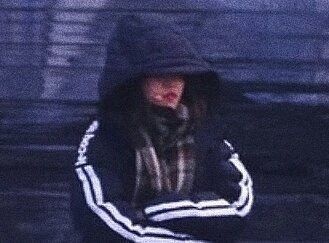 Yeri has never been a lead dancer nor part of the dance line. People assumed she was because she performed at an award show with Seulgi and Irene. She’s the most talented member and the most underrated. Reveluvs are blind and deaf asf! same, wendy is way more popular and joy not as much. but in korea it’s the opposite. Wendy can speak english so fluent and she has amazing voice, that’s how she’s loved. Seulgi has a lot of fanboys & fangirls. Trueeee I wanted more lyrics than “oh my god” but i mean i gave it a few more listens and its alright. reminds me of the rookie era. The song was just a bit much, with so many overlaying voices. But that’s just me. So those are the positions that SM assigned for them. Until there are updates that the positions are changed, those are the official positions. the side tracks are amazing though, have u listened to them? taste and so good are my favourites. Surprised Wendy isn’t the visual. I agree with your point. People are using the positions listed on Level Up and Super TV, but only with some of the members. To be fair and unbiased, if we’re going by the positions officially listed then that should be what is used for all of the members, not just some of them. I really wouldn’t put too much stock into these things, or place emphasis on how people rank the members. I have ReVeluv friends from all over the world and I’d say Irene, Joy, and Seulgi are the one’s consistently ranked as very popular, but that’s not to say Wendy and Yeri aren’t popular too. Even with girl groups, people get caught up in ranking them. Red Velvet might not be the most popular girl group in every single country but they’re still popular and loved. Red Velvet are apparently preparing for their Japanese comeback right now! 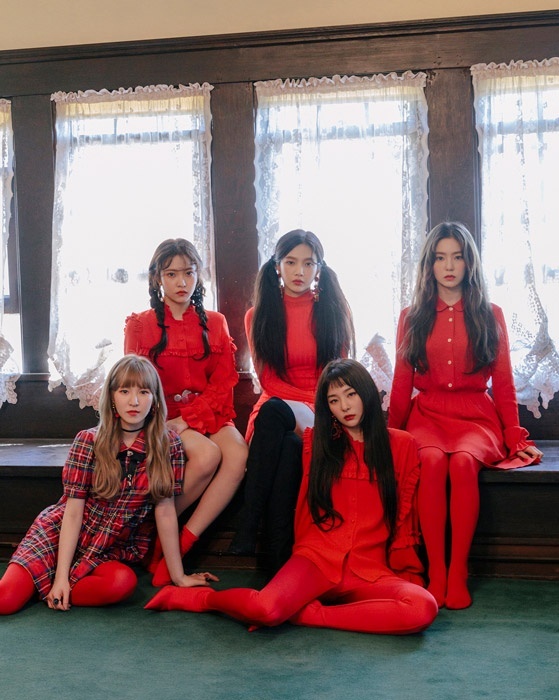 We had Cookie Jar for their debut so it will be interesting to see what concept they have this time. All of the girls now have their own rooms after moving into a new apartment. Joy’s weight was recently listed as 49kg on her show. Seulgi’s height was measured recently and she is 160cm. Yeri is in the dance line!!! it should say so in her profile! SM has only ever confirmed officially that Seulgi is the main dancer and Irene is the lead dancer. There has never been any other confirmation regarding the dance line in Red Velvet and whether it includes Yeri, Joy, or Wendy. Fans can have their own opinions, but officially only Seulgi and Irene are in it. I believe some of the confusion stems from Yeri’s time in SM Rookies, but when she debuted in Red Velvet only her position as rapper and vocalist were officially listed. I agree. I’ve never seen anything official stating Yeri is a lead dancer. Seulgi is main and Irene is lead dancer. Honestly Wendy looks like part of the dance line these days more so than Yeri. The holy trinity body rolls of Bad Boy always stands out for me and Wendy owns the Power Up stages for me personally! Is It Just Me Or Does Everybody Who Has Bangs That’s In A Girl Group The Main Dancer? A unicorn, not an unicorn. Seulgi changed her representative animal again, as evident from their 2019 Season’s Greetings, from a polar bear to a brown bear. Wendy rapped in some songs in RBB and also in other albums, that’s why I put her as a Rapper. And Joy is also a Lead Rapper, she got rap parts with Yeri and Irene. Red Velvet has two centers, that’s confirmed. For each comeback it changes between Irene or Seulgi. 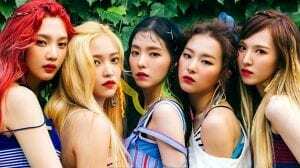 For example, Red Flavor’s center was Seulgi, while Bad Boy’s was Irene. Hi! I just wanted to ask where you got these “Happiness to #Cookie Jar” animal representations. I’m pretty sure the fandom has been calling Irene a bunny rabbit very early on (pretty sure I’ve seen this since ICC). Similarly, Seulgi has been called a bear from the start, and Yeri’s resemblance to Squirtle (a turtle Pokemon) was one of RV’s first running gags. Wendy’s and Joy’s animals have been less certain, with people assigning either hamster or squirrel to Wendy and either a duck or a chick to Joy. So, where did you get the Irene=Cat, Seulgi=Unicorn, Joy=Canary, and Wendy=Deer thing? Okay so I just noticed those animals in a Happiness promotional photo, so I guess that’s where it’s from? But that was in Happiness era. There was no indication that those applied beyond that era. The current representative animals have been a thing since Ice Cream Cake. They’ve been the de facto animals almost from the start of OT5. I can also confirm that Joy’s weight was written as 49kg (108 lbs) on her show “Pajama Friends”. I’ve attached a screenshot of that episode from November 2018. Please update her details. Thank you. I’m very confused. The highly order goes, Joy, Seulgi, Yeri, Irene then Wendy. Wendy was always the shortest. So why does it say she’s taller than she is? many times they (most probably advised by their company) declare a bigger height and a smaller weight . Oh! Thank you! This makes sense to me now! Arent they very low quality? No, the original weight that the doctor was going to put was 45kg. Joy then said that wasn’t correct, and they instead put 49kg. 49kg is the weight that’s been publicly stated, and previously Joy’s weight was officially listed as 43kg. Some of the girls have current weights listed at 44kg (which would also be malnourished for their respective heights) but it is listed as that because that’s what has been publicly stated. Why should there be a different rule for only some of the girls, isn’t that terribly biased? In the last 4-5 months or so Joy’s weight was randomly changed here from 43kg to 54kg, and as far as I can tell there’s no source or reason why this was done. Why should an arbitrarily decided weight with no source (that’s seemingly just based on speculation) be used at all when we have a member speaking for herself? The most recent weight we have been publicly told is 49kg and in the interest of neutrality in these profiles it should be used accordingly. Hopefully the admin can correct this, however despite other profiles being updated this continues to be overlooked for some reason. Yes I agree, and this is also not a Korean comeback. It is a Japanese comeback. 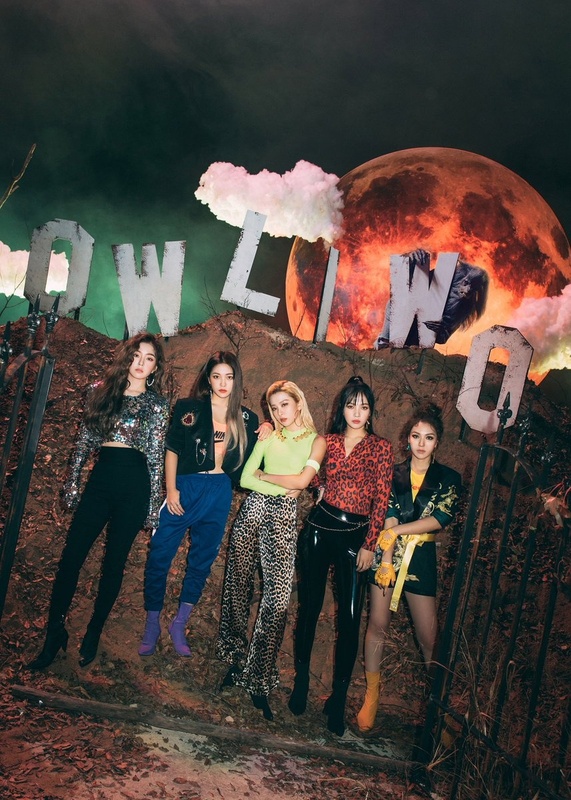 The official teaser photos from RBB should be used instead. I think these are their positions. Some of these are just my opinion. It’s based on what I see. Also… are there such things as sub rappers? If so, is Wendy a subrapper? I don’t really know. 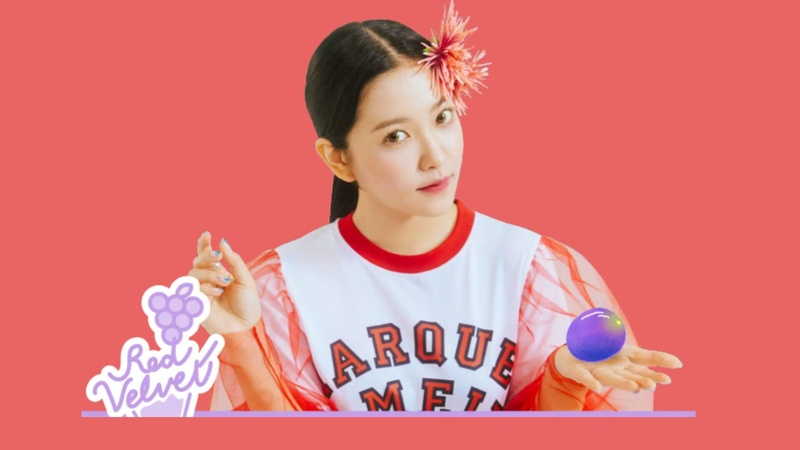 YERI KNOWS YOUTUBE EXISTS ! Well if seulgi’s real height is 160, so Irene and Wendy should be around 155~157. Yeri is still growing up and maybe she could be taller than Seulgi in real height. But Seulgi always looks taller than Yeri, Irene, and Wendy (except Joy) because She is the center. Yeri isn’t the lead dancer, seulgi is the main and Irene the lead and yeri isn’t in their level. Yeri being in the dance line is just a fan assumption, no group has sub-dancer , dance line consist of main and lead only which are seulgi and Irene. They’re all so talented – stan these talented girls! Yes, so true!! They are all so talented. There’s a note on these profiles which mentions that the positions listed are because they are still the publicly announced positions but that people have different ideas and personal opinions. I personally think that Joy is both a lead vocalist and a lead rapper (especially if you take into consideration Red Velvet’s entire discography and that the girls are still performing songs at concerts where Joy takes the lead rapper position). I also think Yeri is a lead rapper now too, and in my opinion I think it’s fine if there’s two lead rappers and a main rapper in Red Velvet. Thank you. I keep telling people Yeri is not a lead dancer nor on the dance line. She’s the weakest dancer in the group, imo. 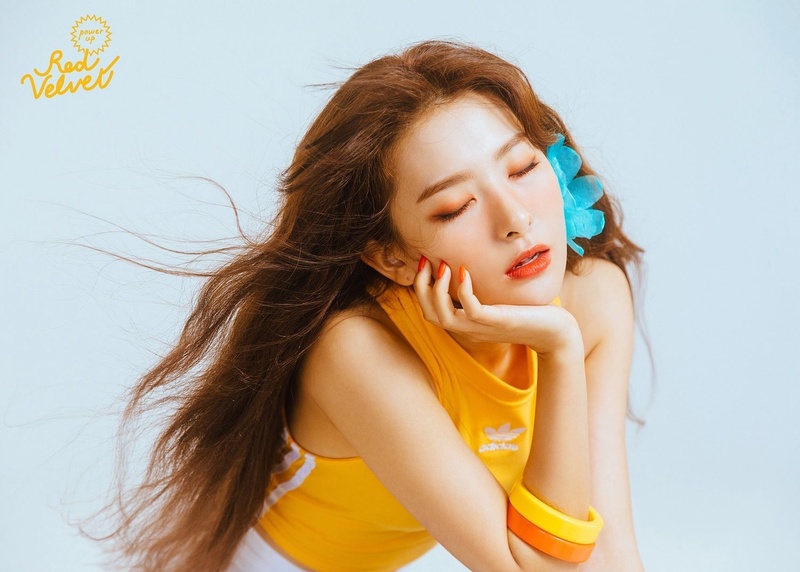 Not sure how anyone can say she is on Seulgi’s and Irene’s level. That’s their official positions there is nothing wrong with them it’s you that is the problem take the fact. Yeri isn’t a lead dancer. Only Irene is. Yeri is also not a lead rapper. Only Joy is. Joy is not a lead vocal. Only Seulgi is. Irene is Visual/Center and Seulgi is Face. Which song was Yeri’s debut ? 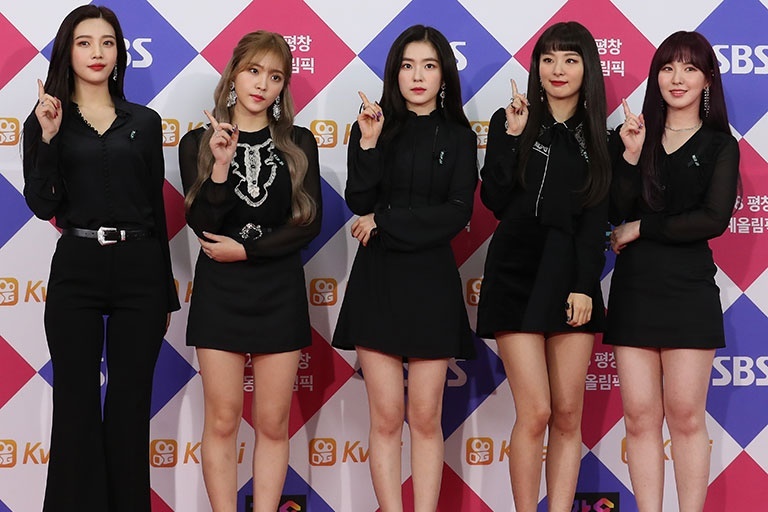 Congratulations Red Velvet for their win at the Gaon Chart Music Awards! 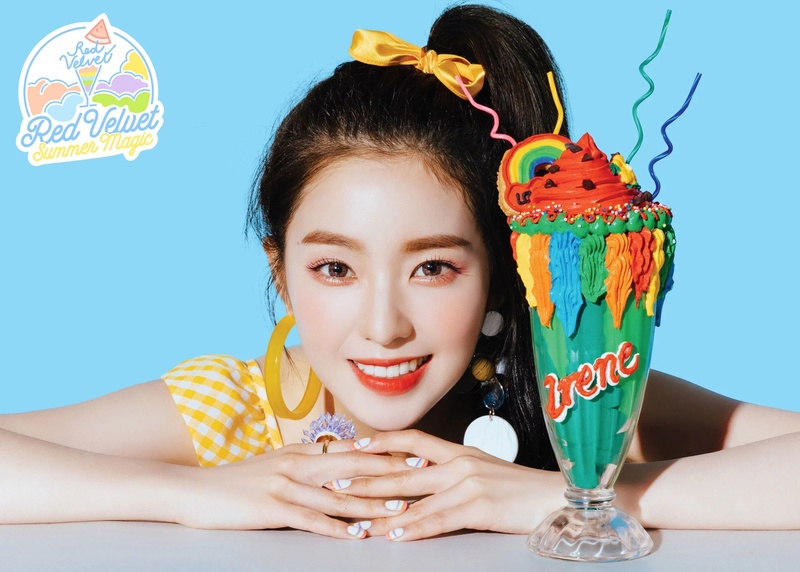 Red Velvet’s first extended play is called Ice Cream Cake and featured the double title tracks “Automatic” and “Ice Cream Cake”. I thought Irene’s real name was ‘Bae Joo Hyun’? Ju and Joo are basically the same. 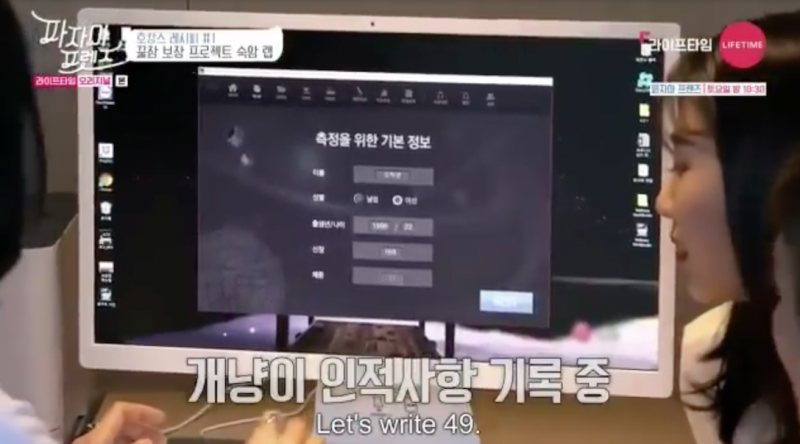 In Irene’s profile, it says “41th” when it should be “41st”. I think some crazy fan is botting Joy votes? Red Velvet will be starting their North American RedMare Tour soon. Hopefully they have a great time. Happy New Year to everyone too! I’ve looked at the actual numbers this week and that’s incorrect. No-one went up by 10k, please don’t irresponsibly spread misinformation. Wendy and Irene went up by 4.5k, Joy by 5k, Seulgi by 4k, Yeri by 1k. The percentages for the members have been pretty much the same for months (with the biggest change just 1% up or down). Nothing crazy or to do with bots, it’s clearly just people voting in the poll. yeri grew a bit, she’s around 5’4 1/2 right now. To clarify why i think this, irene is around 5’0-5’1 in real life while joy is around 5’6. 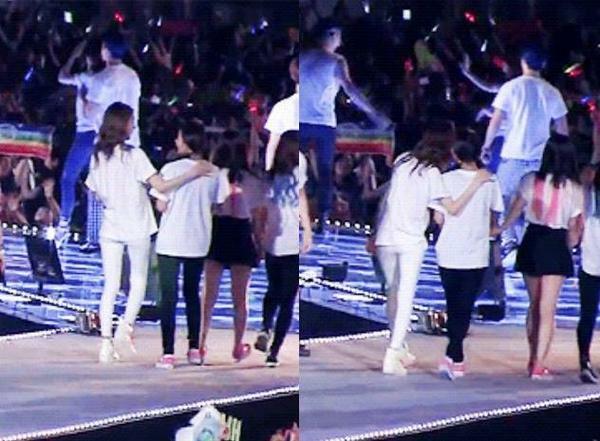 However, Yeri is close to seulgi’s height as seen in recent photos, making her 5’4. Seulgi has actually been officially measured recently and confirmed to be 160cm (5’3). Seulgi is still a bit taller than Yeri. Therefore, even though Yeri grew her actual height is still less than what is currently written in her profile and is less than 5’4. Irene will likely remain in 1st position but you replying “nah” to someone who was seemingly just being positive and hyping up a member, and then also liking the comment that falsely said a member’s votes are because of bots (when someone already corrected their misinformation), does underestimate other members. Each of the girls has their own type of popularity, and even if they might not always be 1st it doesn’t mean that they don’t have people voting for them or that we shouldn’t support people hyping them up too. Analyze what I said first. I didn’t degrade any other member’s popularity I just praised Irene’s. All of them are popular but Irene is the most popular obviously and I agree with you on that. But it’s just my thought, dont be too serious. Why do you bother to list blood type since that is fake science, in fact it was (not even possible to determine until the 20th century), by the Nazis and Imperial Japan to prove why other races were “inferior”? Anyway, it is no better than Astrology, where one will try to “live up” to the fictitious personality the junk science assigns. There are too many people who suffer nonsensical discrimination due to people who believe this myth (if you are Christian, you should be ashamed), so why contribute to the continuation of it? 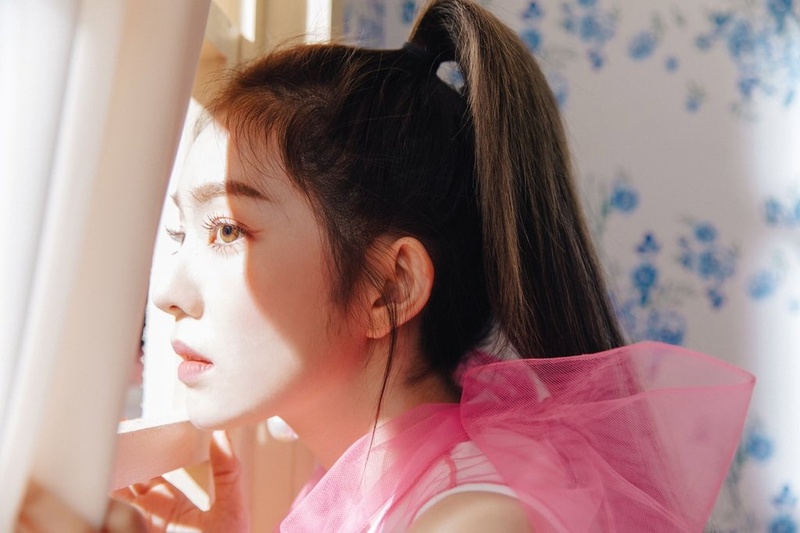 Let something that doesn’t actually mean anything fade into nothingness…..
i believe Irene is the most famous? she out number all the member but i do believe joy has a lot of stanners as well? Yeah Irene is probably the most famous and like you said, Joy does have a lot of stans as well. Seulgi does too and Wendy and Yeri have their fanbases. Hopefully all of the girls keep growing in popularity and so does the group. 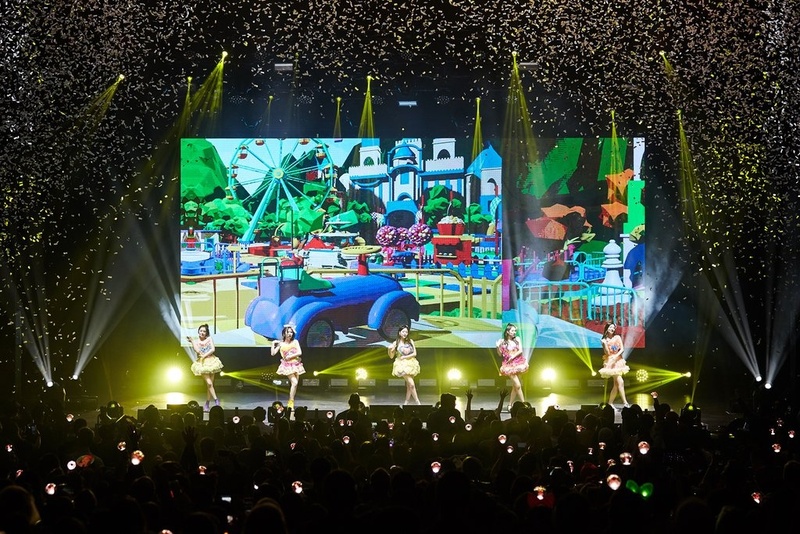 Red Velvet have completed their LA and Dallas concerts, and are now on to Miami for their RedMare tour in North America! Thanks for the correction. This is literally just a random online poll and there’s people accusing others of using bots based on disinformation?? How disappointing. We should all be happy seeing the girls growing in popularity. Red Velvet are also currently touring in North America so of course there’s going to be a surge of interest, it’s a positive thing. 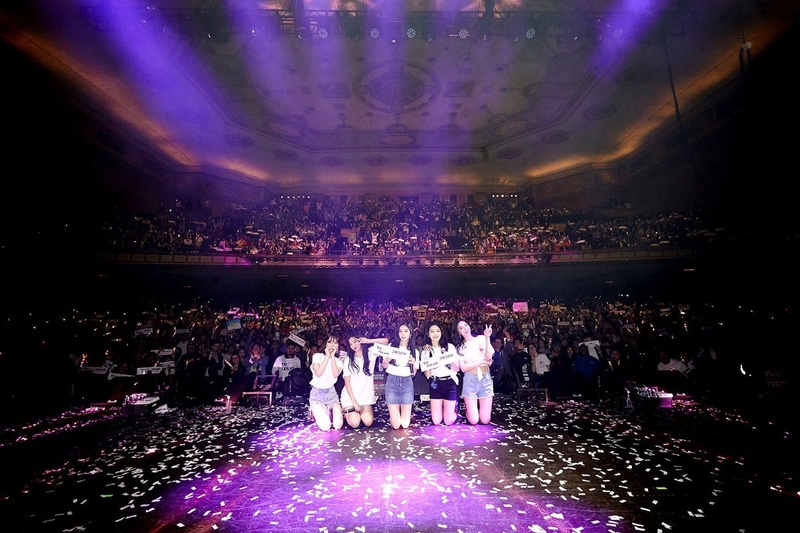 Not to mention that they recently had a Japanese Arena tour in January and SM Town concerts in Santiago, Chile. The members have been working so hard, let’s celebrate that more people are finding out about them and voting. Why are you even pressed about this in first place? Wow this is such a beautiful venue!!! So glad that the girls seem to be having a great time on tour. id have to disagree, irene is much smaller than yeri, shes around 5’0 in real life. 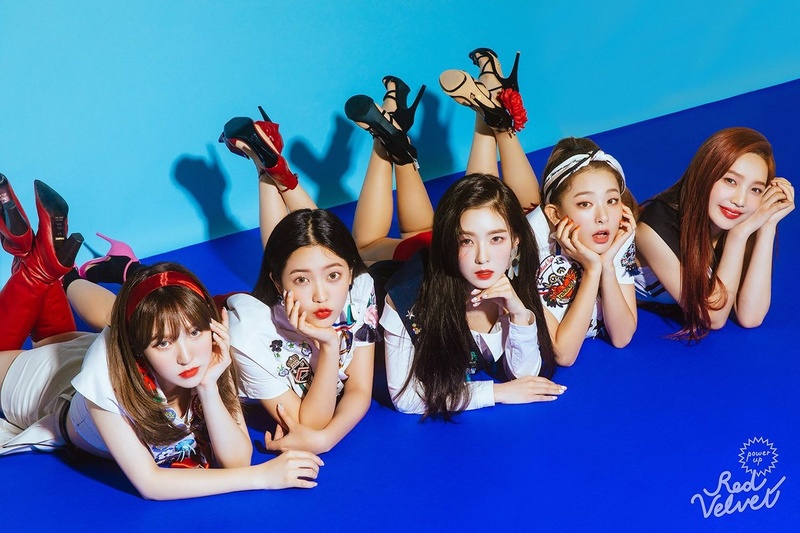 Red Velvet will be releasing a new Japanese single called “Sayonara” on February 20th. Who did the high notes in RBB? During a VLIVE it was explained that the members were asked to scream in the studio for the recording. Irene’s scream was chosen and this was then blended together with the demo scream for the final RBB track. I hate how Irene is the center. She shouldn’t even be lead dancer, her movements are crooked, sloppy and half-done. Her facial expressions look forced, and she receives too much attention over nothing. The most talented members are Seulgi and Wendy, but I like the remaining members as well, just can’t stand Irene. Ok, sorry I might have been exaggerating a bit maybe a month would have been more accurate. Last time I checked she had 5k less than Seulgi and now she has more. And sorry, I didnt mean to spread misinformation, I were just curious if there was everything right. 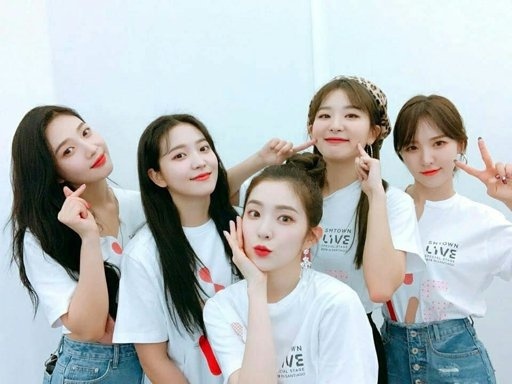 Red Velvet has just completed their US Tour and now have two more concerts in Canada until they return to Korea. Yeah it’s a mix of the person who recorded the demo and Irene’s scream for RBB. They’ve done so well and been so busy already in 2019. They had a Japanese tour most of January, and then this North American tour in February. They deserve a good rest in March when they get back to Korea. To give you the correct information, looking at the numbers a month ago Joy had a 1k difference with Seulgi and the percentages for both of them were the same as today, with 22% each. As I said, there hasn’t been any unnatural or unprecedented activity from bots, just more people voting in the poll overall (likely a positive consequence of growing interest and because in 2019 Red Velvet has toured in Japan, North America, and performed in South America). It’s already 21st February and they don’t have a comeback. Stop spreading fake news about them. 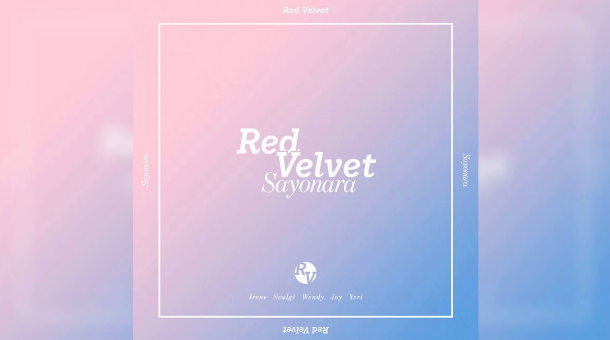 As I said Red Velvet’s new Japanese single “Sayonara” (note that in my comment I specifically mentioned that it was a Japanese single and not a comeback) would be released on February 20th. It was indeed released then and is now available on streaming sites such as Spotify and iTunes. Please support them. Red Velvet have indeed been really busy and worked so hard. I believe that the girls will fortunately get a break in March and that it’s been officially scheduled. Irene is great thou…. She’s talented & beautiful…. 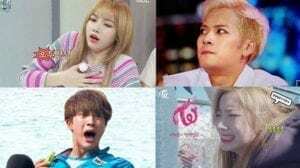 Idols should know how to get attention from the audience…. Her dance are good. joy’s queen of goig viral on stan twitter so that’s probably why her votes on the polls are going up so fast! 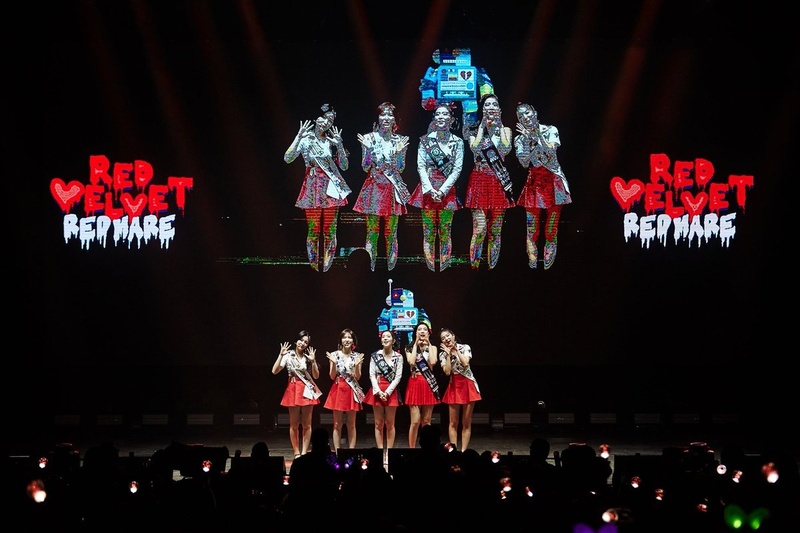 Congratulations to Red Velvet for a successful North American tour! The girls are already on their way back to Korea now. 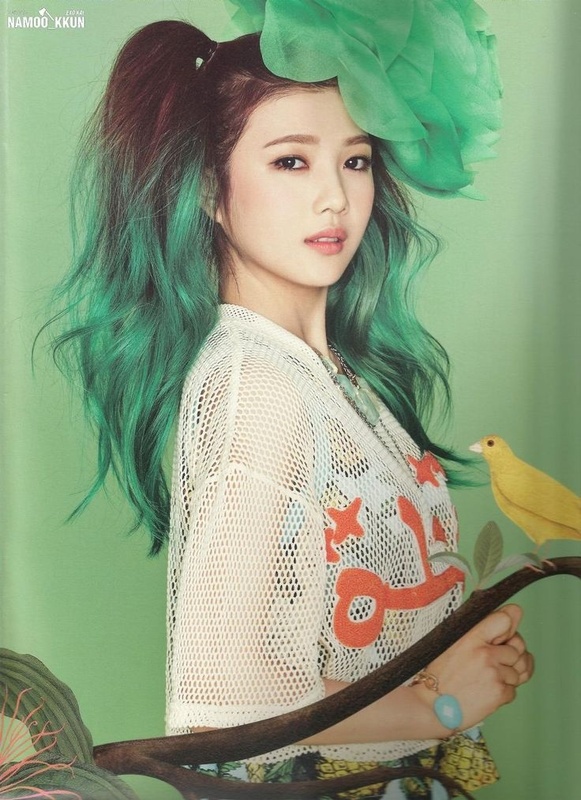 I think joy is the lead vocalist and lead rapper but because she has two positions so she often gets vocal parts . yeah i agree, i think depending on the song (whether it’s vocal or rap based) joy can be lead vocalist or lead rapper. on red velvet’s lastest japanese single “sayonara” (which is great btw) joy was undoubtedly a lead vocal. on a rap based track like “attaboy” she was positioned as a lead rapper. 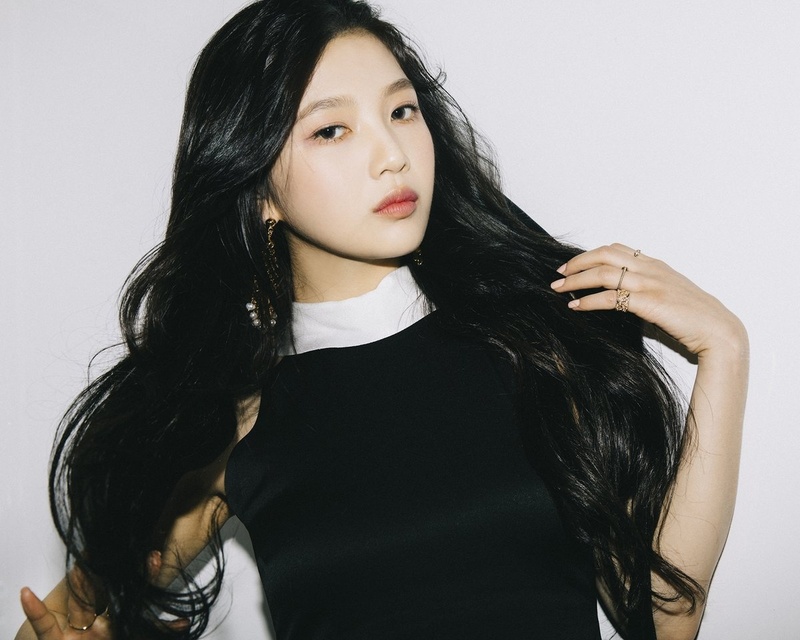 joy’s “official” position is listed as lead rapper, but i think she functions as both in reality which shows her versatility to fit what’s needed for the group. Please check out Wendy’s OST What If Love from Touch My Heart drama that stars Goblin couple Lee Dong Wook & Yoo In Na! Wendy sounds amazing! This song continues to back up the fact that she’s the best vocalist of the 3rd generation!! She sounds amazing!! 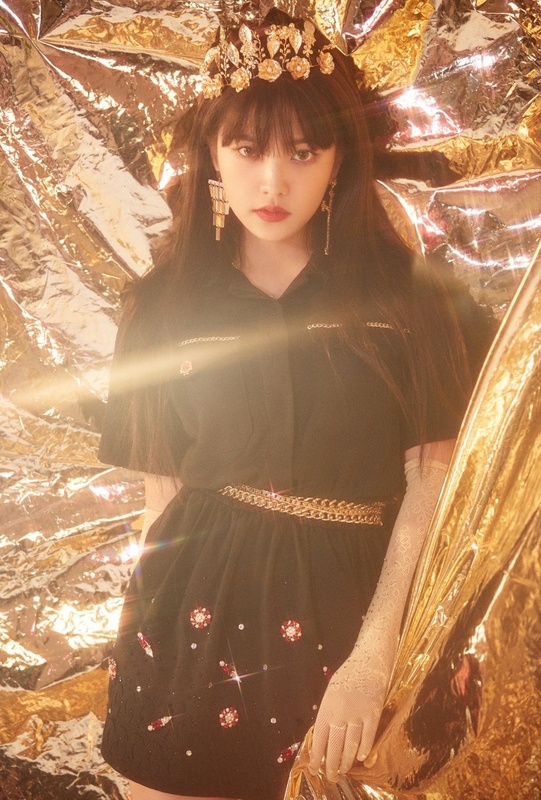 Yeri will be releasing her self compositions in an album soon. Her lead single, To Twenty, will be released March 5 as a full studio version. All songs are written and composed by Yeri. That height order seems pretty accurate. Wendy is a bit shorter than Irene, Yeri is taller than Irene, Seulgi is taller than Yeri, and Joy is taller than Seulgi. If we know Seulgi is definitely 160cm, then we can kind of estimate the real heights of the other members. ehmm..I thought Joy was 43kg,I saw on a Red velvet book i bought,But idk..
Red Velvet have been nominated in the following categories at the Soompi Awards. You can download the app and vote each day until March 27th. Yes Joy’s official weight when she debuted was 43kg and that’s what is still listed in most places. 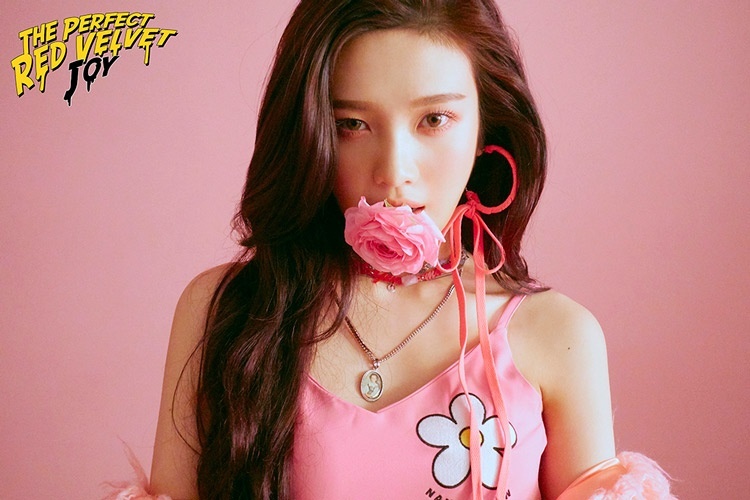 There was no official update from SM but Joy’s weight here on this profile page was randomly changed in 2018 with no explanation (and an 11kg increase). At the end of last year Joy publicly listed her weight as 49kg on her show “Pajama Friends”. 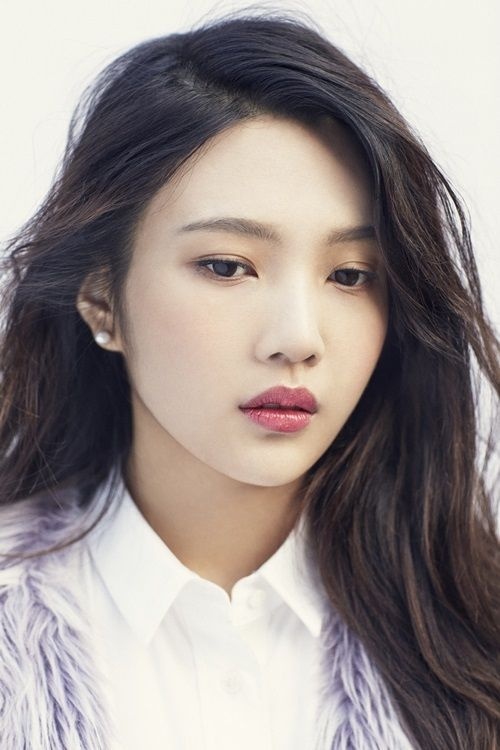 She was having a consultation with a doctor and the doctor initially was going to list her weight as 45kg, and Joy corrected her and told her to put 49kg. Since Joy spoke for herself I think it’s only right that her weight should be changed on this profile rather than using a seemingly arbitrary unsourced weight. I previously posted the screenshot here from the show but Joy’s information was never updated. Here it is again. You have Seulgi down as Unicorn but her representative animal is Bear. Yeri’s in Unicorn and Turtle. You don’t have to rude about it. You could’ve said it in a more respectful way. But, it’s your opinion I guess. We all have a blood type, believe it or not. That’s why people donate blood and it is so important you get the matching type because you can react negatively to the wrong blood (your blood cells attack the new, wrong ones). And based on how you’re speaking, you’re more upset about how people see blood types as compatibility rather than the actual classification itself. So please calm down. It’s not that deep. “Sayonara” has also now been released in South Korea too on Korean music sites including Melon, Genie, and Naver. Joy is also a lead vocalist and lead dancer while Yeri is the lead rapper. Joy having more singing part in any song of the grp. & she had been always spotted dancing near to Irene or Seulgi, while Yeri becoming the new lead rapper. if you don’t believe, fine .. i’m not forcing you. In my opinion Joy is a lead vocalist and lead rapper, and Yeri is a lead rapper. As you mentioned, Joy definitely takes on more singing parts in songs these days (like in “Sayonara”), although if you look at b-side tracks like “Attaboy” Joy still can function as a lead rapper when needed. In my opinion she’s both. There has been different speculation about the dance line, but officially it seems to just be Seulgi as main and Irene as lead. I think we can all have our own opinions and I mainly agree with you. 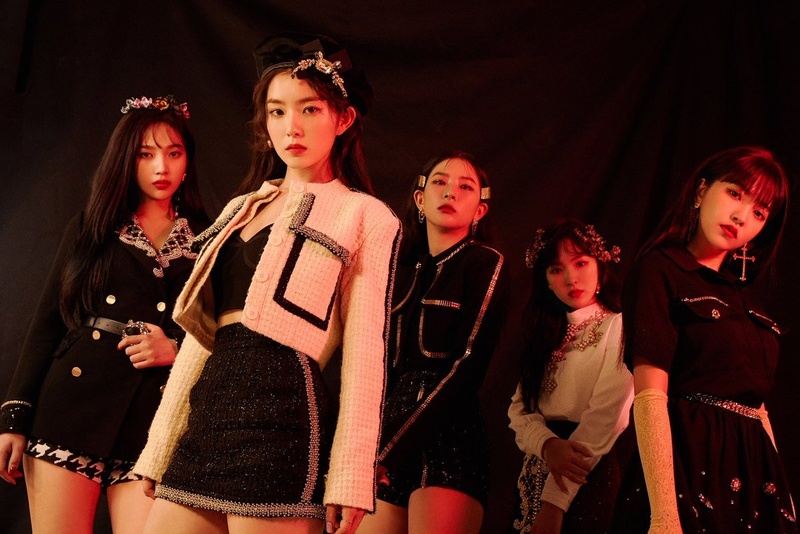 Red Velvet will be attending The Fact Music Awards on April 24th. To Twenty was actually released as a one-off SM Station song, not as part of a solo album release. At this current time there aren’t any plans for a solo album. Red Velvet is lit. Like does BLACKPINK have representive weapons? 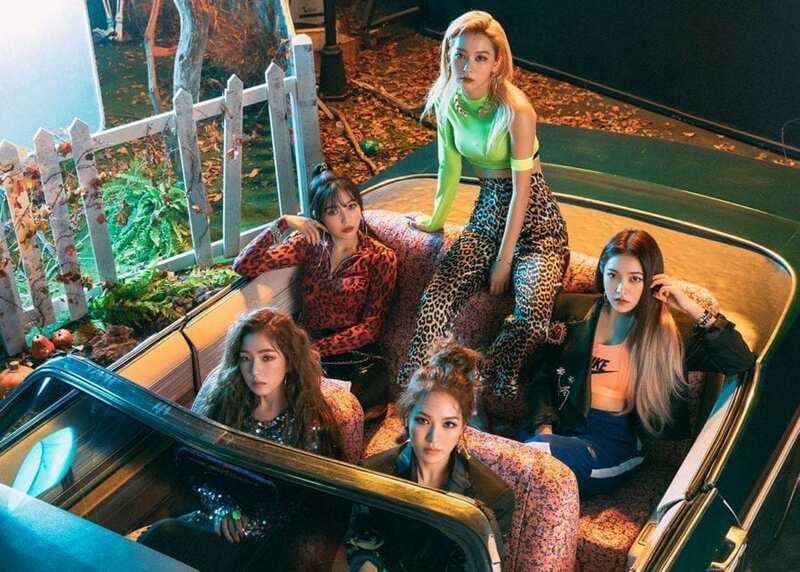 Red Velvet won their second Daesang for Best Female Group at the Korean Entertainment Arts Awards. Congratulations! blackpink dominating the world rn but what about red velvet? their losing fame and slowly going down😂😂 focus on your favs. But your username says gay for bae joohyun? If you’re so gay for her why you dissing her group? And anyway Red Velvet are far from declining they just won another daesang? How many do Blackpink have again? Oh wait…they don’t lol. Focus on your faves, hun. It seems that the only official positions released for the dance line are that Seulgi is the main dancer and Irene is the lead dancer. Yeah those guides are usually more fan-based whereas I believe there’s a note on these profiles saying that they’re using the official publicly announced positions from SM. 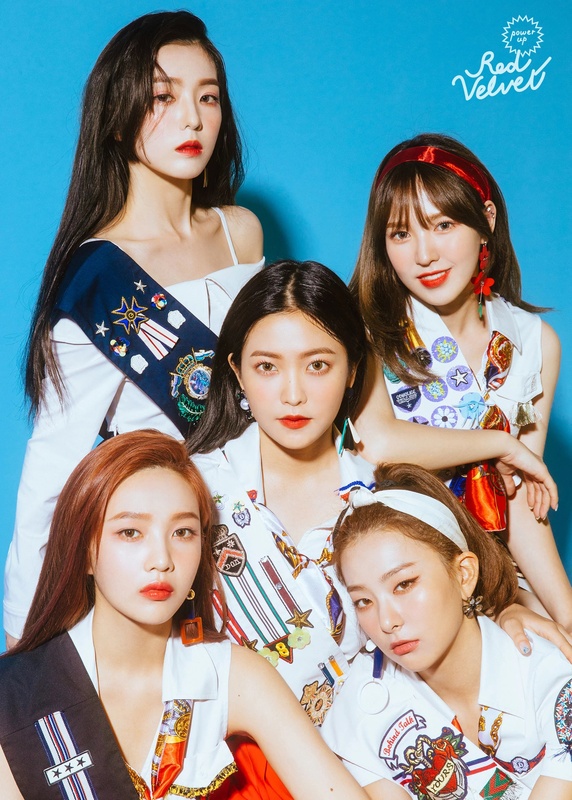 Red Velvet will release a Japanese mini-album called “Sappy” on May 29th. This isn’t a Korean comeback and the Sappy music video was already released back in January this year. 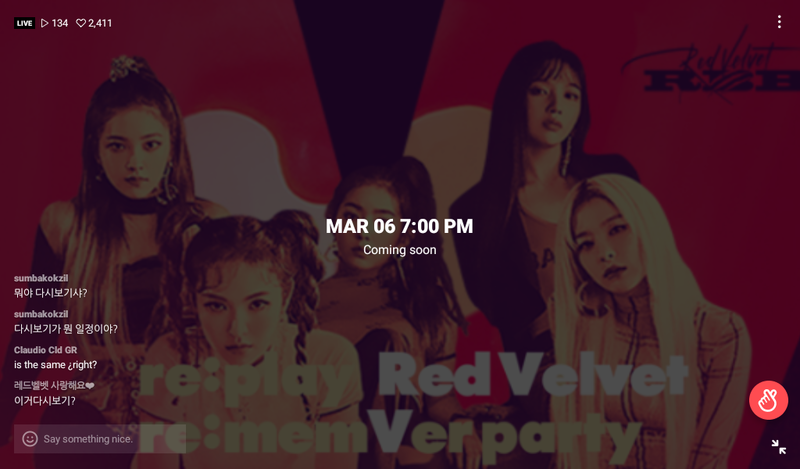 No official confirmation yet on when Red Velvet will have their Korean comeback (people are speculating sometime in May). Not being rude, but that isn’t going to happen. Yeti is one of my favorite members (Irene is my bias) but sadly she won’t be as popular as her unnies…. For your information Irene is talented and beautiful, she is good in singing, rapping, dancing and acting? all rv members are talented, if you can’t stand irene then GET THE HELL OUT OF THE FANDOM! No one needs you and no one wants you, because compare to Irene, YOU ARE NOTHING, DUHH! I get that there will be members with more votes but my bb Yeri deserves better.. 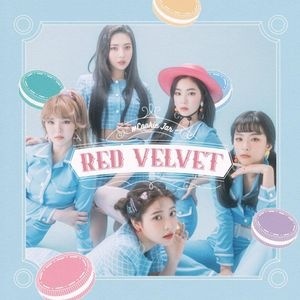 The tracklist for Red Velvet’s Japanese mini album “Sappy” has been released. The album will be available in Japan May 29th (there might also be places where you can pre-order it internationally). Will they get another Perfect All Kill? The “Latest Japanese Comeback” video has been changed on this profile, but I just want to let the admins know that Sayonara isn’t a comeback (it was just a digital release) and this also isn’t an official video. The official video and Japanese Comeback remains Sappy. 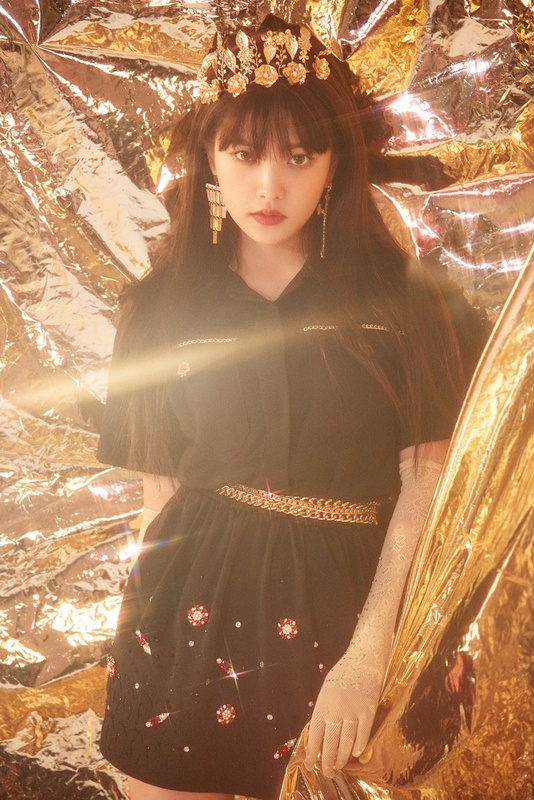 Whilst it’s true that part of why Yeri is less popular is because of her joining the group later, the whole issue about stage presence and performing actually began before Bad Boy era. Please have consideration for Shawols and don’t bring up Jonghyun’s death, especially when it isn’t related to the broader topic of popularity (and stans in fact showed her support during that time). As we’ve seen with other members too, most of the criticism came from knetz; they didn’t “lose” stans who were never their stans in the first place. Anyway I think all the girls are thankfully growing in popularity. Red Velvet’s Bad Boy Music Video has just reached 200 million views! It’s the fastest SM video to reach that milestone. Congratulations!!! Yes!! The votes are very close together. And there seems to be no distinction.